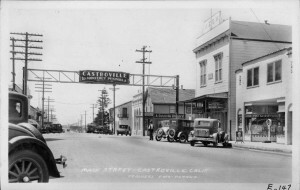 CASTROVILLE, Calif. (Mar. 26, 2019) – On the heels of a successful winter promotion, Ocean Mist Farms is proud to announce the launch of its spring campaign, Reach for the Gold, to support sales of its “gold standard,” or premier spring artichokes. 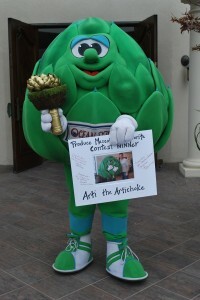 The brand’s Peace, Love & Artichokes promotion that wrapped up March 1, was Ocean Mist Farms’ first-ever marketing campaign aligned with their exclusive winter growing region in Coachella Valley, California. Spurred by an upward trend in artichoke consumption during the winter months, the brand leveraged their strong winter supply and excellent product quality to engage shoppers and drive purchase intent. The diverse campaign included a Coachella growing region webpage, a sweepstakes, Google and social media advertising and email marketing. As a result, the brand earned 152,000 sweepstakes submissions, preference data from more than 27,000 shoppers, and 7.8 million brand impressions. Beginning April 1, Ocean Mist Farms will launch its 30-day Reach for the Gold promotion to nurture their growing database of loyal customers with weekly prize-winning opportunities through email-based trivia. 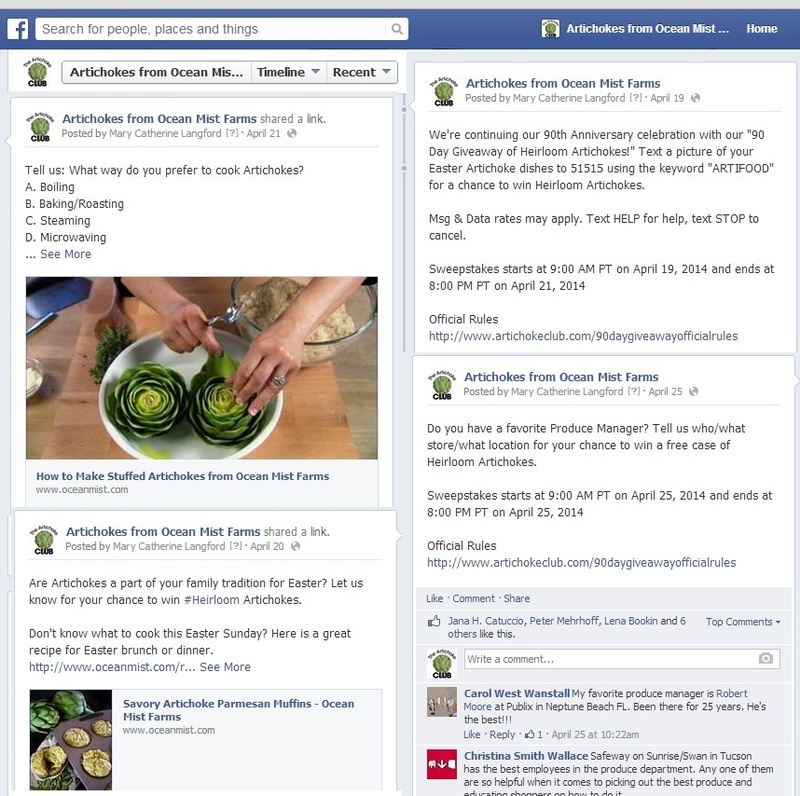 The promotional content is designed to educate shoppers about the company’s 90 year farming legacy as well as their industry leadership as the gold standard in artichoke growing. 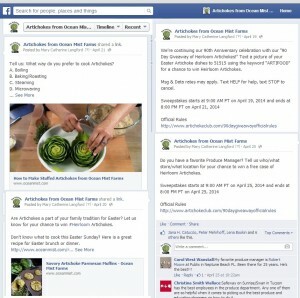 In addition, the promotion will provide shoppers with tips and inspiration for enjoying artichokes. 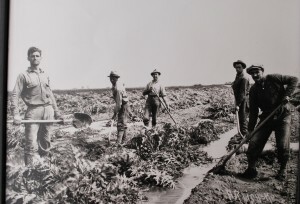 Castroville is the original home to Ocean Mist Farms’ artichokes. The coastal, Mediterranean-like climate in this central California area is a natural fit for this Italian vegetable that thrives best in the area’s mild temperatures. The company’s vertically integrated production has allowed them to implement gold standard best practices at every stage of the production cycle, from planting all the way through harvesting, processing, cooling and distribution. These best practices are a culmination of the expertise gained from a 95 year old artichoke farming legacy. For more recipe inspiration and tips, follow the brand on Facebook, Instagram, LinkedIn and Twitter. CASTROVILLE, Calif. (March 5, 2019) – Ocean Mist Farms is proud to announce the opening of applications for its fourth annual Ocean Mist Farms Academic Scholarship Program to recognize students who embody the four guiding values of Ocean Mist Farms – integrity, quality, passion and success. Each scholarship recipient will be awarded a scholarship of $1,000 towards their college tuition. Applicants must reside in Monterey, Riverside, San Benito or Santa Cruz Counties and maintain a high school GPA of 3.0 or better. Along with a 500-word essay, applicants will need to submit letters of recommendation along with proof of college acceptance and enrollment. In addition to the five public scholarships, Ocean Mist Farms will be granting two scholarships exclusive to dependents of the company. 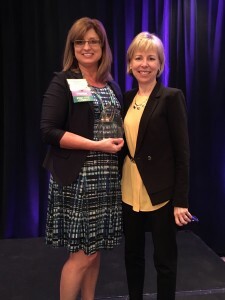 “As a company that values family, education and community, we’re happy to offer a program that embodies these values to our employees and their families,” said McClean. The deadline to submit applications to scholarships@oceanmist.com is April 1, 2019, and scholarship recipients will be notified by phone or email May 1, 2019. For additional questions regarding the application process, visit the Ocean Mist Farms Academic Scholarship website. 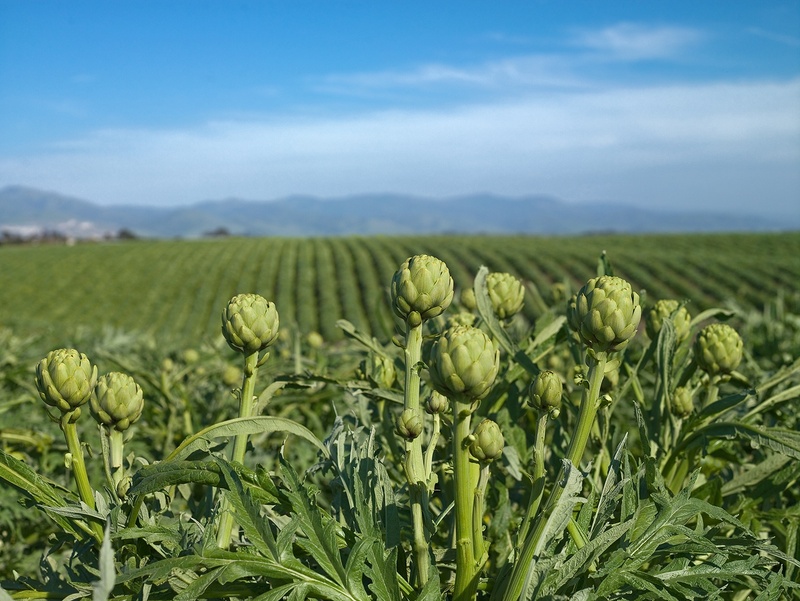 CASTROVILLE, Calif. (February 4, 2019) – Ocean Mist Farms, the premier grower of fresh artichokes, is excited to announce their Coachella artichoke production season with the Peace, Love & Artichokes winter promotion. This multi-faceted campaign, launching today and lasting through March 1, includes email marketing to a robust community of artichoke shoppers, social media advertising, and sweepstakes prizes – all to drive sales and in-store demand. 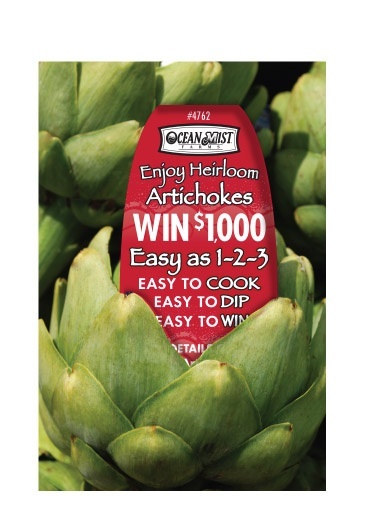 With this promotion, Ocean Mist Farms is leveraging an upward trend of artichoke sales in late winter and continuing to push the artichoke momentum forward. While aiming to increase consumption, Ocean Mist Farms is looking to also educate consumers that Coachella is not only home to the world-renowned music festival in April, but also home to premium winter artichokes. Artichokes typically grow best on coastal plains, as the veggie requires mild temperatures and plenty of moisture. However, Ocean Mist Farms has honed a dessert-grown proprietary seed variety specifically for the Coachella Valley climate. By utilizing Coachella’s optimal growing conditions during the winter-to-spring months, Ocean Mist Farms is able to maintain their high quality standards year-round. To further incentivize shoppers, participants can enter the Peace, Love & Artichokes Sweepstakes for a chance to win a $1,000 VISA gift card to create their own Coachella experience. The first 1,000 entrants will receive a Peace, Love & Artichokes bumper sticker and will be automatically entered to win an additional Coachella music festival prize pack valued at $500. CASTROVILLE, Calif. (Dec. 19, 2016) – As this season’s temperatures begin to cool down, Ocean Mist Farms is planning for its highly flavorful artichokes, known as Frost Kissed® artichokes. Artichokes are Frost Kissed® when the temperature drops below 32 degrees, causing the skin of the artichokes to darken slightly. Similar to the way human skin reacts to a sunburn, the artichokes produce a dark brown outer layer that can flake or peel. 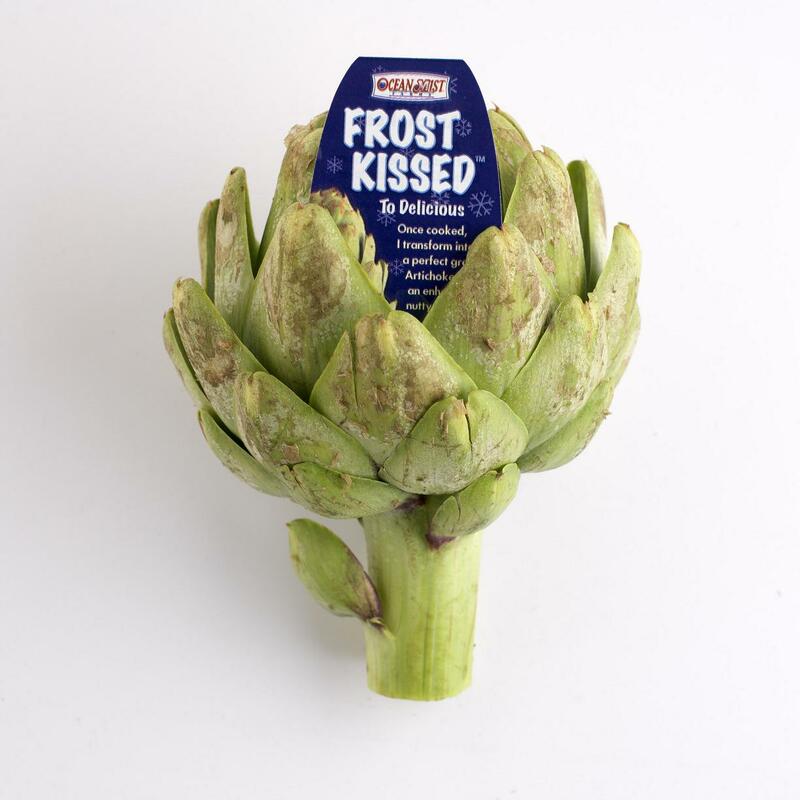 What most people do not realize is that Frost Kissed® artichokes are actually richer in taste because the frost seals in a more intense nutty flavor. Once cooked, the brown outer layer falls off, resulting in the soft green artichoke shoppers are familiar with. “Frosting is strictly a cosmetic condition – while the brownish color may not look the prettiest, Frost Kissed® artichokes are a favorite amongst the chef and foodie community,” said Diana McClean, director of marketing at Ocean Mist Farms. Because Frost Kissed® artichokes look different than green artichokes, Ocean Mist Farms is implementing an education program to teach shoppers about how wonderful they taste. 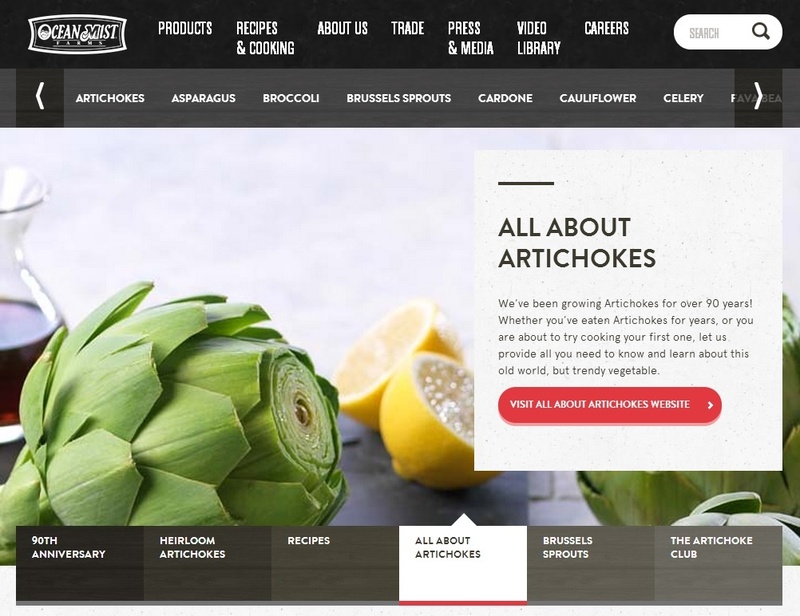 The company has information on its website with pictures and recipes and is sending that information to members of its artichoke club and sharing it through its digital channels. 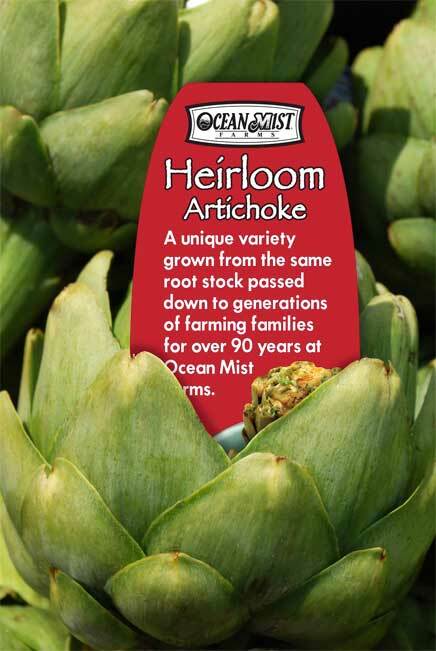 Ocean Mist Farms also provides display cards to the retail customers who stock Frost Kissed® artichokes the new few weeks. A partnership with social media influencers at thefeedfeed will follow the first freeze of the season, where recipe posts will be shared on their social media and blog platforms of more than 2 million fans to educate people about the flavor benefits and proper cooking technique for Frost Kissed® artichokes. 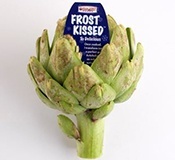 This commitment to third-party influence has Ocean Mist Farms feeling confident that consumers will actively seek Frost Kissed® artichokes in their grocery stores now through March 2017. The company will notify buyers as soon as a frost hits, and is available to support educating the “front line team” of produce managers. 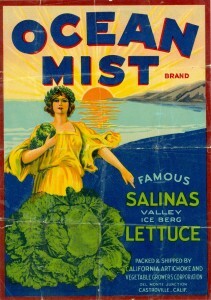 For more information about the company, or to order a quantity of the Frost Kissed® POS, visit www.oceanmist.com. 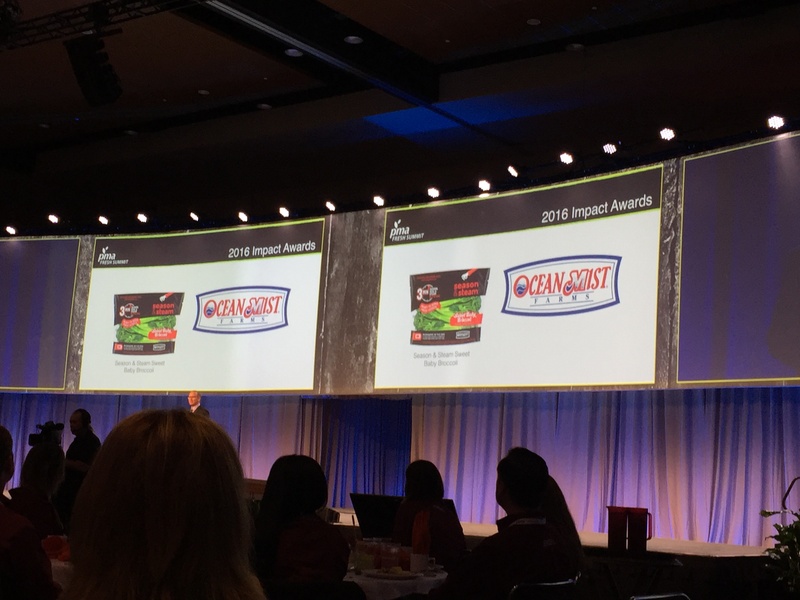 CASTROVILLE, Calif. – Oct 14, 2016 – Ocean Mist Farms was named a packaging innovator by the Produce Marketing Association (PMA), which bestowed its annual Impact Awards: Excellence in Packaging at the organization’s international convention and exposition in Orlando today. 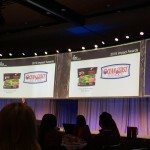 The award recognizes companies with exceptional produce packaging that demonstrates “out-of-the-box-thinking” and makes an impact with consumers. The newest addition to Ocean Mist Farms’ value-added Season & Steam product line, Sweet Baby Broccoli, received the 2016 PMA Impact Award: Excellence in Packaging. The company’s SuperShreds SuperFoodÒ, Quick Cook SproutsÒ, Baby Sprouts and whole Brussels sprouts received the award in 2012; microwaveable artichokes in 2011; and KalettesÒ in 2015. 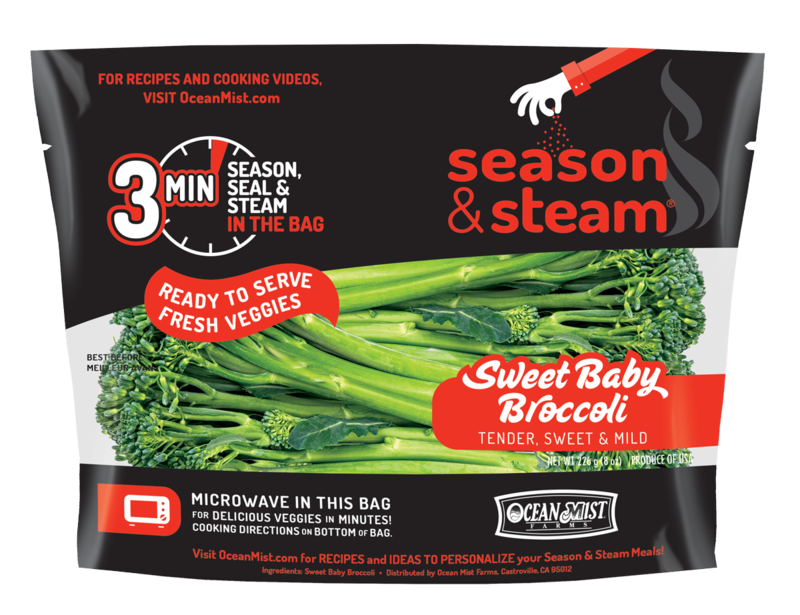 All items in the Season & Steam product line use Ocean Mist Farms’ Steamfast microwavable package that gives users the option to pre-season the contents to their flavor preference, reseal with the zip lock and steam by microwave all within the same bag. The PMA Impact Award: Excellence in Packaging recognizes and encourages excellence in fresh produce packaging. PMA received multiple entries from several countries that were narrowed down to 20 finalists and submitted to a panel of judges who selected the winners based on the following attributes: Marketing, sustainability, food safety, and convenience and supply chain efficiency/functionality. CASTROVILLE, Calif. – Sept. 20, 2016 – Ocean Mist Farms will debut the newest member of its award-winning Season & Steam value-added fresh vegetable line at PMA in booth 642. 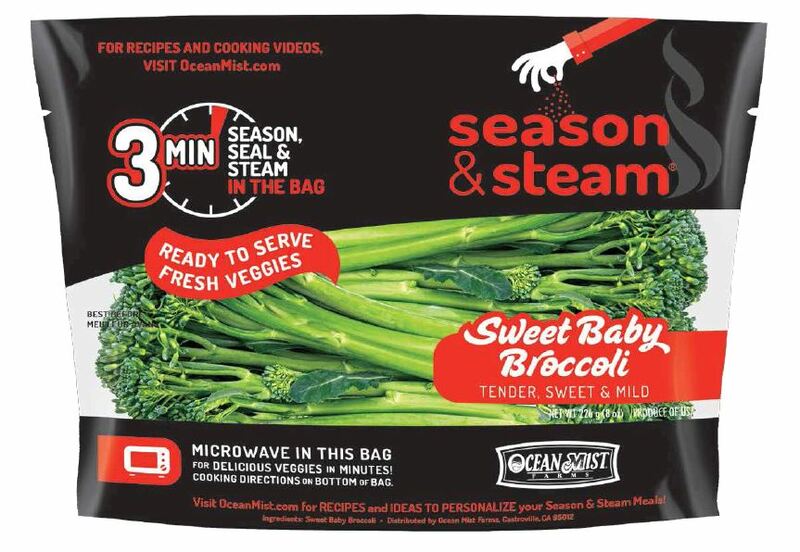 Ocean Mist Farms’ Season & Steam Sweet Baby Broccoli is packaged in an innovative Steamfast microwavable pack that gives users the option to open the bag, pre-season the contents to their flavor preference, reseal with the zip lock and steam by microwave all within the same bag. 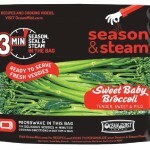 The SteamFast packaging is gusseted for a stand up, face forward shelf presentation and has a suggested retail price of $3.50 per bag depending on the region. The 8-ounce package is bilingual, in French and English, for export and includes cooking instructions and usage ideas on the bottom gusset. 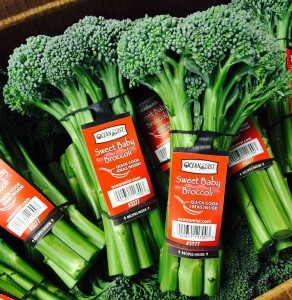 Diana McClean, director of marketing, said with the line extension the company wants to experience the same success in the broccoli category as it did with the Brussels sprouts category. 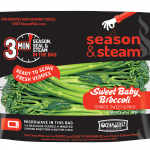 Ocean Mist Farms’ Season & Steam Sweet Baby Broccoli is a finalist for PMA’s annual packaging innovation awards. In addition to the full Season & Steam line, Ocean Mist Farms will showcase its organic line, Ocean Mist Organic, and the more than 30 other fresh vegetables the company grows at the show. 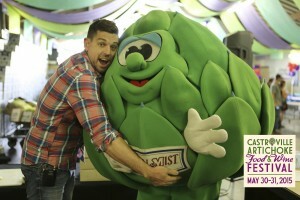 And, through the Produce for Better Health Foundation, the company will host retail registered dieticians for a portion of the show, demonstrating the fast and easiest ways to prepare a fresh artichoke. “We are looking forward to educating these important group of influencers about artichokes so they in turn can educate their shoppers,” McClean said. CASTROVILLE, Calif. – Sept 7, 2016 – Chris Drew, vice president of operations at Ocean Mist Farms, has been accepted into Class 47 of the California Agricultural Leadership Program (CALP). 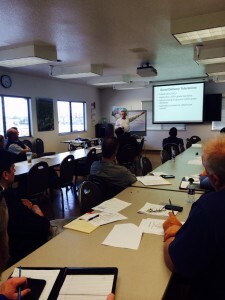 The Ag Leadership Program, operated by the California Agricultural Leadership Foundation (CALF), is one of the premier leadership development experiences in the United States. More than 1,200 men and women have participated in the program and are influential leaders and active volunteers in agriculture, communities, government, business and other areas. Applicants must be growers, farmers, ranchers or individuals working in allied businesses and organizations who are emerging or mid-career leaders in agriculture. The 17-month program, from October 2016 to February 2018, includes 56 days of formal program activities. Four partner universities—Cal Poly Pomona, Cal Poly San Luis Obispo, Fresno State and UC Davis—deliver comprehensive, diverse and high-impact curriculum designed to improve leadership skills. In addition to monthly seminars, fellows participate in an eight-day national travel seminar and a 15-day international travel seminar as valuable extensions to their studies. CALF invests approximately $50,000 per fellow to participate in the Ag Leadership Program. The costs are underwritten by individual and industry donations. Drew has been with Ocean Mist Farms since 2004, his duties include directing activities associated with the post-harvest of Ocean Mist Farms products; managing the cooling and shipping facilities; overseeing food safety and quality assurance, sustainability and value-added operations; and directing new product and service innovation. 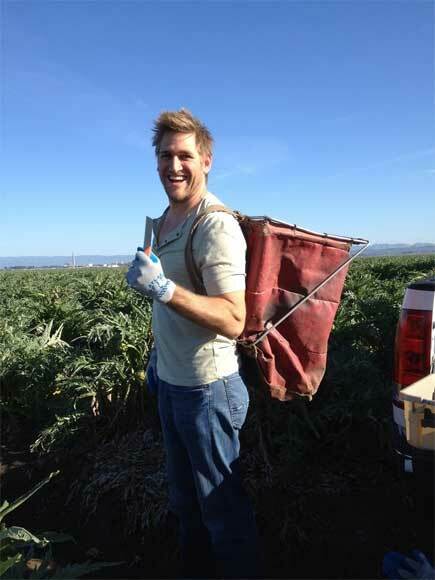 Drew holds a bachelor of science degree in crop science from Cal Poly San Luis Obispo and an MBA. He has more than 16 years of experience in nursery crops and vegetable production. He lives in Hollister, Calif., with his wife and two daughters. CASTROVILLE, Calif. – Aug. 29, 2016 – Artichokes will be part of the 80th celebration at the Monterey County Fair Aug. 31-Sept. 5. 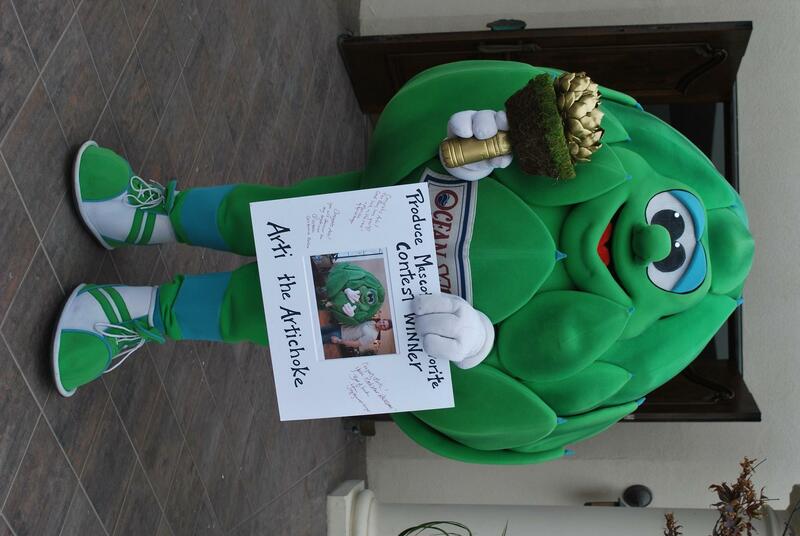 Ocean Mist Farms will help celebrate the fair’s 80th anniversary by sending Arti the Artichoke to the fair on “Ocean Mist Farms Day” Friday, Sept. 2, to meet fans throughout the fairgrounds. Interested visitors can visit Arti's Facebook for more details about his appearances. 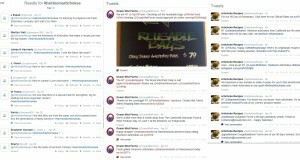 CASTROVILLE, Calif. – JULY 26, 2016 – As record-setting heat blazes across most of the country, retailers could see scorching sales of artichokes this summer with a little promotional help. 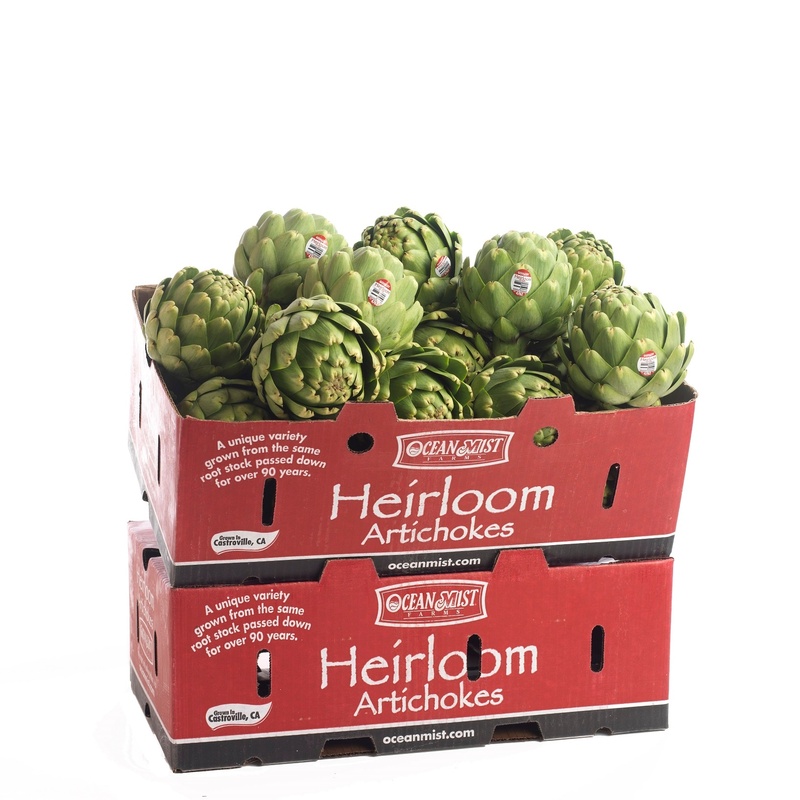 Ocean Mist Farms, the largest grower of fresh artichokes in North America, researched historical summer sales as it related to promotional activity and found there is an opportunity to increase sales in August. “Our production has stabilized to a consistent year-round supply and the data points show that August is great potential time period for creative promotions that will drive sales,” said Diana McClean, director of marketing. 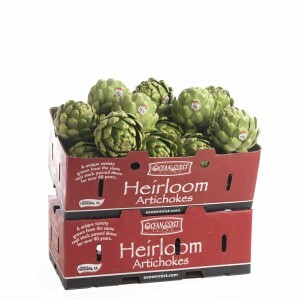 In addition to having promotable supply, the company also has almost all sizes of artichokes available this season. Ocean Mist Farms is doing its part to increase sales of artichokes during the summer by developing new uses and recipes for artichokes such as its award winning Season & Steam package that allows users to enjoy artichokes without heating up their kitchens, same with throwing artichokes on the grill or for something completely new and different, Artichoke Ice Pops. Nielsen data found summer sales of artichokes have experience steady year over year growth between 4 percent and 5 percent (Source: Perishables Group FreshFacts® Powered by Nielsen). CASTROVILLE, Calif. – JULY 21, 2016 – As record-setting heat blazes across most of the country, artichokes could be America’s favorite new summer vegetable with recipes that don’t require work in the kitchen. 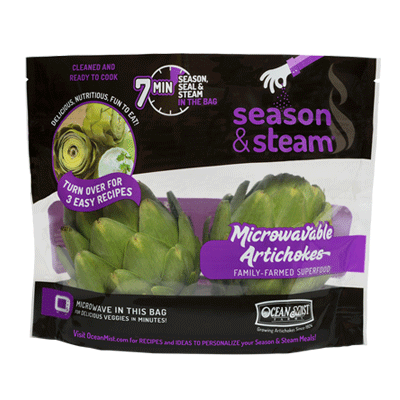 Ocean Mist Farms, the largest grower of fresh artichokes in North America, now sells two cleaned and ready to cook fresh artichokes in its award winning Season & Steam package. What makes this value-added bag unique is the ability to open prior to cooking, season the contents reseal and cook in the microwave for seven minutes. 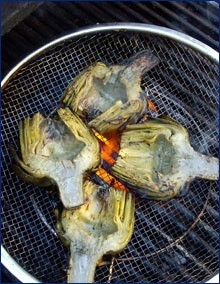 The culinary experts at Ocean Mist Farms suggest throwing the microwaved artichokes on the grill for a few last minutes to gain a charred/nutty flavor. 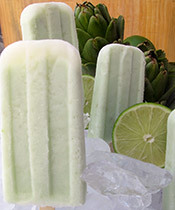 For something really different, however, the company created Artichoke Ice Pops. 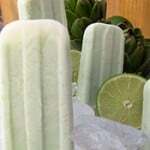 The secret again is using the Season& Steam artichokes to whip up these cool pops. CASTROVILLE, Calif. – June16, 2016 – Ocean Mist Farms is harvesting significant volumes of everyone’s favorite new vegetable, Kalettes®, just in time for summer cooking events. Introduced in 2014, Kalettes® are the first new vegetable to enter the world in more than a decade – a marriage between Brussels sprouts and kale – which created a super food. Kalettes® are a colorful combination of green and purple. Each “kale sprout” is gently hand harvested and may vary in size due to how they are grown on the plant stalk. 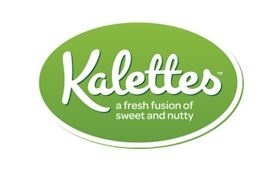 Kalettes® are easy to prepare and are very versatile. “We have a great crop now and we are excited to be able to meet customer demand,” said Diana McClean, director of marketing. 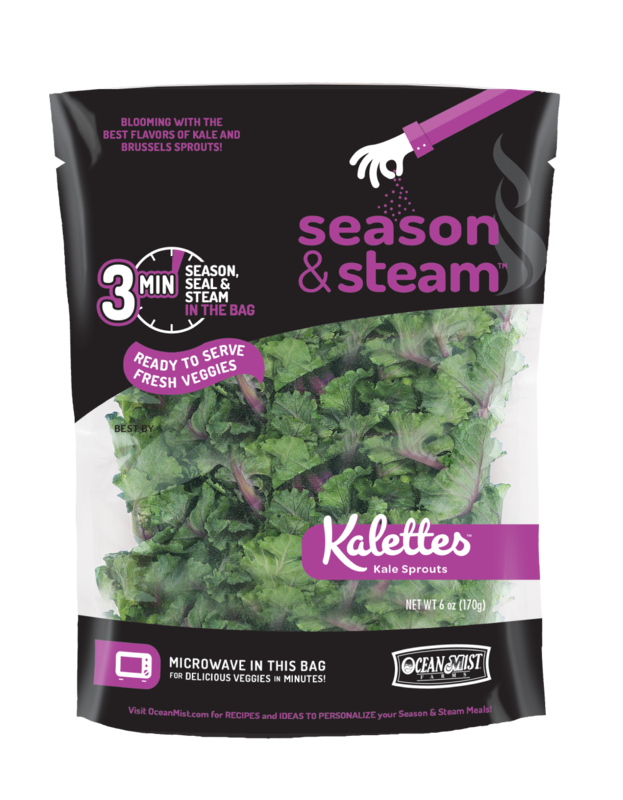 Ocean Mist Farms is shipping bulk Kalettes® as well as packaged in the company’s award-winning Season and Steam microwaveable bag. Monterey, Calif. — Ocean Mist Farms presented academic scholarship on Saturday, June 4, at the 57th Annual Castroville Artichoke Food & Wine Festival in Monterey, Calif.
CASTROVILLE, Calif. – May 18, 2016 – Ocean Mist Farms received a 2016 Produce Trailblazer Award from Grocery Headquarters for its value-added Season & Steam line of fresh vegetables. 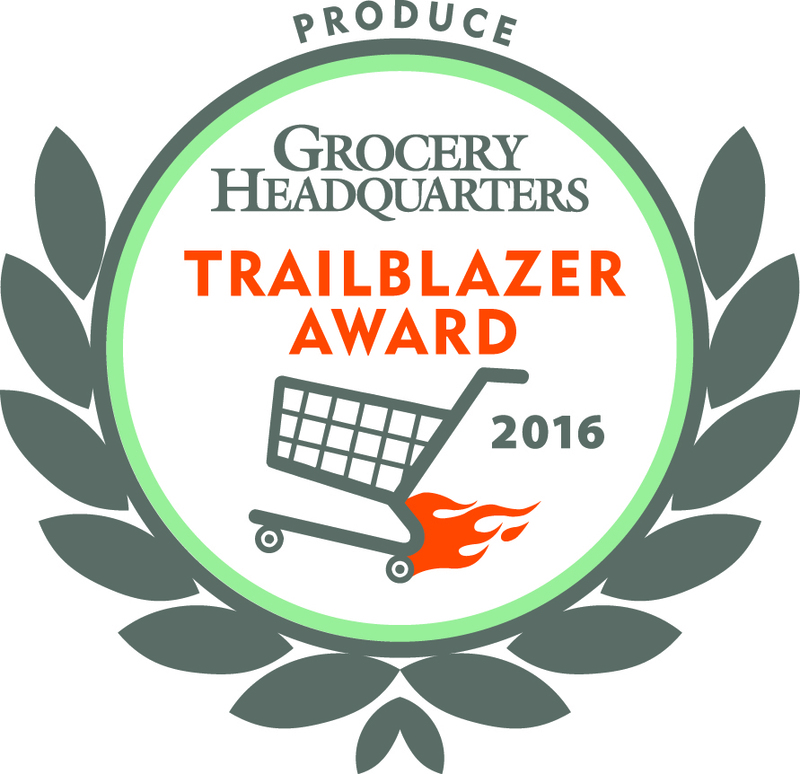 Each year, Grocery Headquarters recognizes the hard work, vision and commitment put in by the country’s most notable growers, packers and distributors of fresh produce. 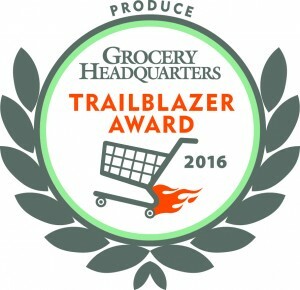 According to the magazine, winners of Grocerypro Headquarters’ 2016 Produce Trailblazer Awards have flourished both at the farm and on grocery store shelves. This year’s award was handed out in five categories: Beverages; dips and dressings; fresh fruits; fresh vegetables; value-added; and organic. 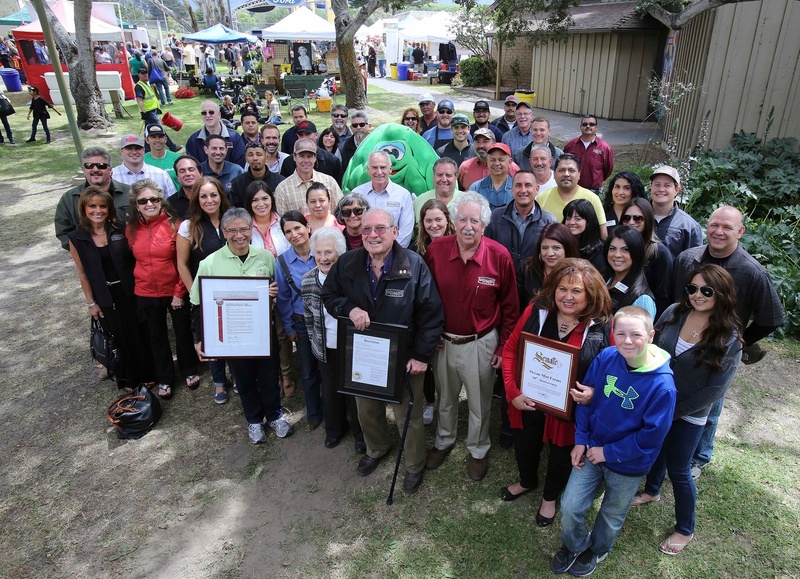 Ocean Mist Farms received the 2016 Produce Trailblazer Award for the value added category for its Season & Steam line and in recognition of the company’s deep roots in Monterey County. 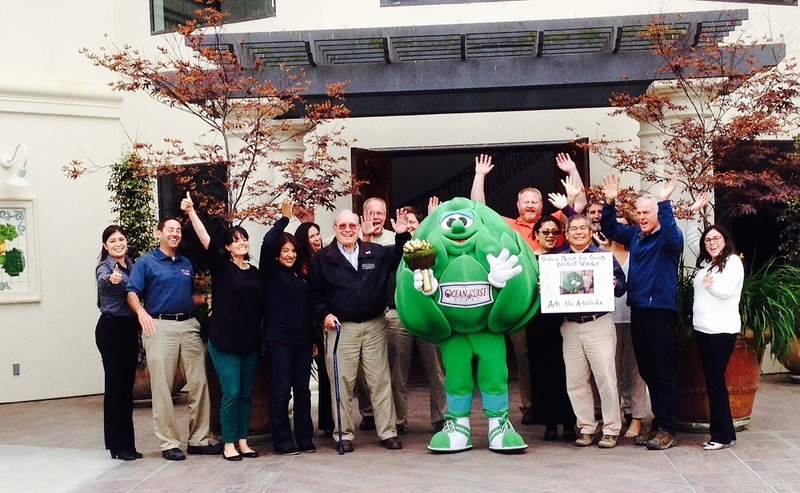 CASTROVILLE, Calif. – May 16, 2016 – We have our #ArtiAdventurer! Congratulations to Trissina Kear from Valley Village, Calif., in the greater Los Angeles area, she is the winner of the Ocean Mist Farms’ Artichoke Adventurer Contest and will attending the 2016 Castroville Artichoke Food & Wine Festival. Kear was selected by Ocean Mist Farms, the largest grower of fresh artichokes in North America, as the winner of its nationwide sweepstakes, Be an Artichoke Adventurer. Earlier this spring, home cooks were invited to upload a picture or video of themselves preparing or eating a fresh artichoke for a chance to win a trip for two to Monterey, Calif., including tickets to the Annual Castroville Food & Wine Artichoke Festival. Entries were judged on creativity of the photo or video, and how well it showcased the cook’s adventurous spirit. Kear submitted the winning video after purchasing artichokes at a Whole Foods store. “I'm a massive fan of artichokes but additionally a fan of fresh veggies from Monterey. Every time we go there we always bring home a bunch of veggies,” Kear said. “I was cooking (an artichoke) and read the tag announcing the competition to win a trip for two to our favorite vacation place. Kear’s winning video showcases a recipe for a grilled artichoke accompanied by an adventurous sauce combining Habanero pepper, bacon and tzatziki – paired with a glass of Monterey wine. CASTROVILLE, Calif. – The Castroville Artichoke Food and Wine Festival returns to the Monterey County Fairgrounds June 4-5 to celebrate California’s iconic state vegetable. Now in its 57th year, the festival is anticipated to attract more than 30,000 visitors and will feature food and wine demonstrations as well as entertainment. Festival attendees can enjoy favorites such as a farmer’s market, the Ocean Mist Farms Agro Art competition, arts and crafts vendors, children’s activities, including an opportunity to meet beloved festival ambassador “Arti the Artichoke,” artichoke field tours and a competitive artichoke eating contest. Festivalgoers can also expect delicious artichoke delicacies, prepared using freshly harvested artichokes. Options include artichokes creamed, steamed, pickled, deep-fried and grilled artichokes, and in burritos, soup, cupcakes and much more. Guests over 21 can enjoy wine tasting, micro brews and artichoke pairings. The area’s finest chefs, including Tony Baker of Montrio Bistro and Baker’s Bacon; Todd Fisher of Tarpy’s; and Rene Herrera of Alfonso’s; will showcase the versatility of the artichoke and share unique preparation techniques. The annual Castroville Artichoke Food and Wine Festival started in 1959 in Castroville, where California’s first artichoke shoots were planted in 1922. Today, nearly all of America’s artichoke supply comes from California and nearly two-thirds are still grown in Castroville. Over the years, the festival has become the primary source of funding for local nonprofit groups that thrive with the success of the festival. 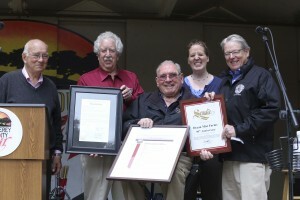 The festival continues to grow, and in 2014 moved to the Monterey County Fairgrounds to host more attendees and attractions. 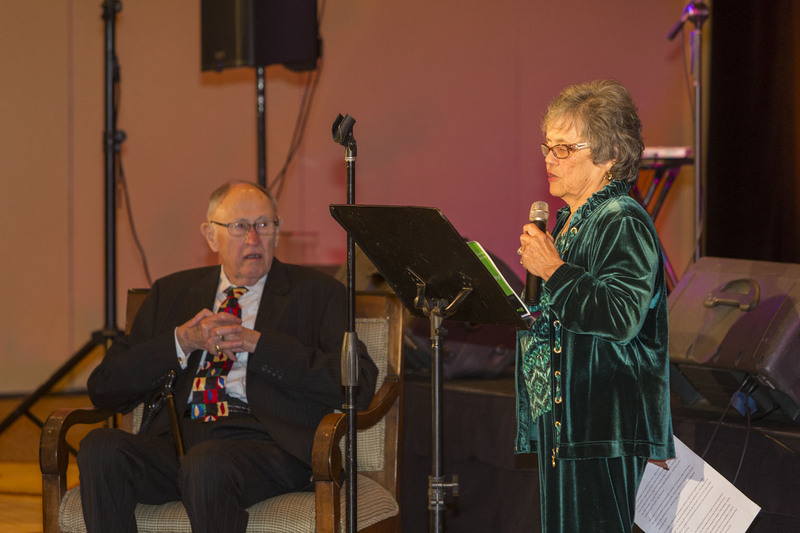 The festival still honors its artichoke legacy by name and through many of the Castroville events leading up to the two-day event, including a historic kick-off parade, car show and community dinner. 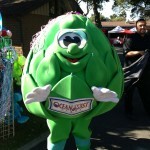 Castroville-based Ocean Mist Farms is the largest artichoke grower in the United States and a long-time supporter of the festival. Ocean Mist Farms has grown artichokes for more than 90 years and donated all artichokes being used at the event. This year for the first time, five, $1,000 Ocean Mist Farms Academic Scholarships will be awardedat the festival as part of Ocean Mist Farms’ community education initiative; the presentation will be on Saturday, June 4, at 12:30 p.m. on the Main Stage. Also for the first time this year, Ocean Mist Farms gave a trip for two to attend the festival to the winner of its nationwide sweepstakes, Be an Artichoke Adventurer. Earlier this spring, home cooks were invited to upload a picture or video of themselves preparing or eating a fresh artichoke for a chance to win a trip for two to Monterey, Calif., including tickets to the Annual Castroville Food & Wine Artichoke Festival. Entries were judged on creativity of the photo or video, and how well it showcased the cook’s adventurous spirit. The winning video was submitted by Trissina Kear from Valley Village, Calif.
For everyone else, tickets for the 2016 Castroville Artichoke Food and Wine Festival are available for purchase at www.artichokefestival.org and may be purchased at the door. General admission for adults is $12; active military, seniors and children (4-12) $7; children 3 and under are FREE. For more information about all of the exciting events in store for the 2016 Castroville Artichoke Food and Wine Festival, visit the festival website page and follow festival happenings on Facebook and Twitter @ArtiFest. 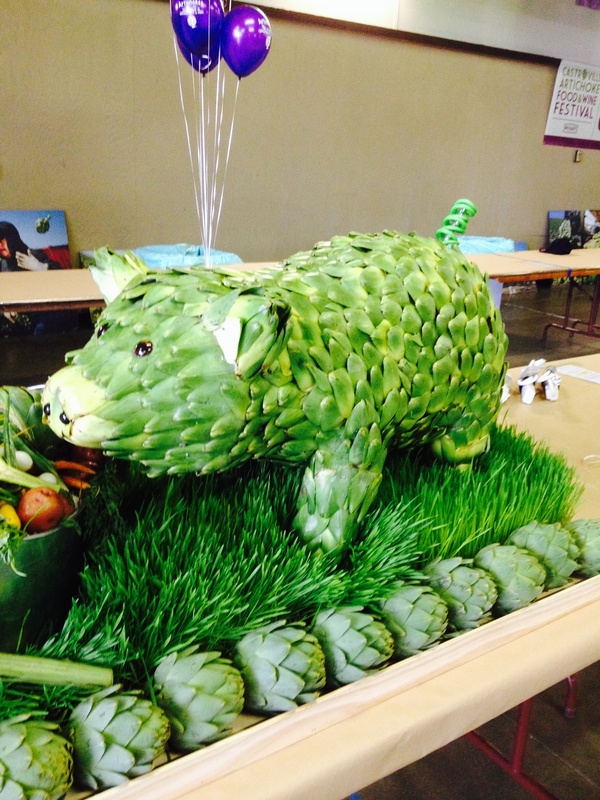 CASTROVILLE, Calif. – May 16, 2016 – Ocean Mist Farms will sponsor the Agro Art 2016 Competition at the Castroville Artichoke Food & Wine Festival this year. This event encourages family participation and creativity. The competition consists of creating a three-dimensional fruit and vegetable display sculpture. The quirky competition fosters imagination, creativity and is fun for participants and the viewing public. The competition takes place on Saturday, June 4, from 10 a.m. to 1 p.m. at the Monterey County Fairgrounds and Event Center and is open to everyone. Area artists, culinary whizzes and school teams are encouraged to participate, no prior experience is required. - All competitors must fill out an entry form either in advance or at the entrance to the Competition. - Spaces are limited: “First come – First Serve” basis. - Only pre-registered entrants are guaranteed a table until 10:30 AM. After 10:30, hold on spot will be forfeited and given to person on waiting list. - Each single entrant will be assigned one-half of a working table. - Each team will be assigned a full working table. - Sculptures must be constructed during the competition time of no earlier than 10 AM and no later then 1 PM. 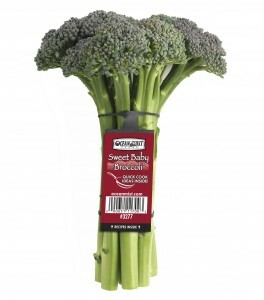 - Entries must be at least 60% fresh product and 10% artichokes. 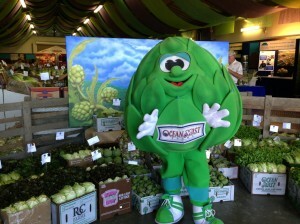 - Ocean Mist Farms will provide fresh artichokes and other “art pieces” such as cauliflower, broccoli and head lettuce. All is available on a first come, first served basis. - Entrants must provide their own supplies except for veggies as noted above. - No flowers may be used, however, it is permissible to use leaves, brush, grasses and other living foliage. - It is permissible to use wire, wood, glue, tape and plastic to form a base for the sculpture or secure it. - Judging will begin at 1 p.m.; winners will be announced at 2 p.m. Registration is free and there is more than $6,500 in cash prizes. Interested participations may sign up online at AGRO ART 2016. 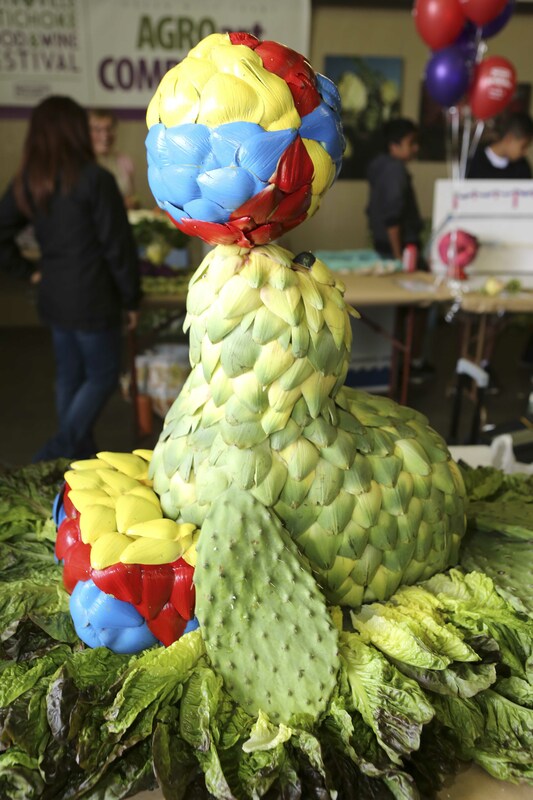 For more information on the Agro Art Competition and the festival, visit Castroville Artichoke Food & Wine Festival. 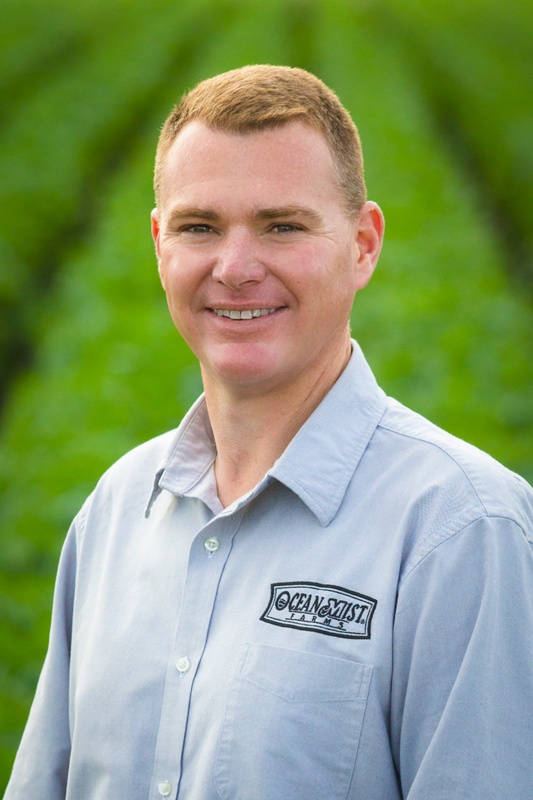 CASTROVILLE, Calif. – April 25, 2016 – Ocean Mist Farms named Chris Drew as the company’s vice president of operations. 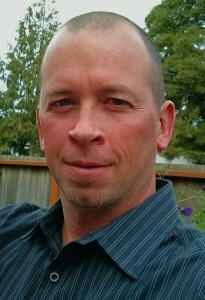 In his new role, his duties will include directing activities associated with the post harvest of Ocean Mist Farms products; managing the cooling and shipping facilities; overseeing food safety and quality assurance, sustainability and value-added operations; and directing new product and service innovation. He will report to Joe Pezzini, company CEO. Drew has been with the company since 2004; his previous title was production manager for Sea Mist Farms, an Ocean Mist Farms-owned entity. Drew holds a bachelor of science degree in crop science from Cal Poly San Luis Obispo and an MBA. He has more than 16 years of experience in nursery crops and vegetable production. He resides in Hollister, Calif., with his wife and two daughters. 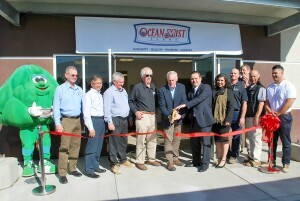 For more information about the company and its products, visit http://www.oceanmist.com/. April 6, 2016 — Castroville, Calif — Diana McClean, director of marketing, Ocean Mist Farms, received the Produce for Better Health Role Model award on behalf of the company at the annual Produce for Better Health conference in Scottsdale, AZ., from Dr. Elizabeth Pivonka, CEO/president, Produce for Better Health. CASTROVILLE, Calif. – April 4, 2016 – Ocean Mist Farms is expanding its award-winning Season & Steam line of fresh convenient vegetables with cleaned and ready to cook fresh artichokes. 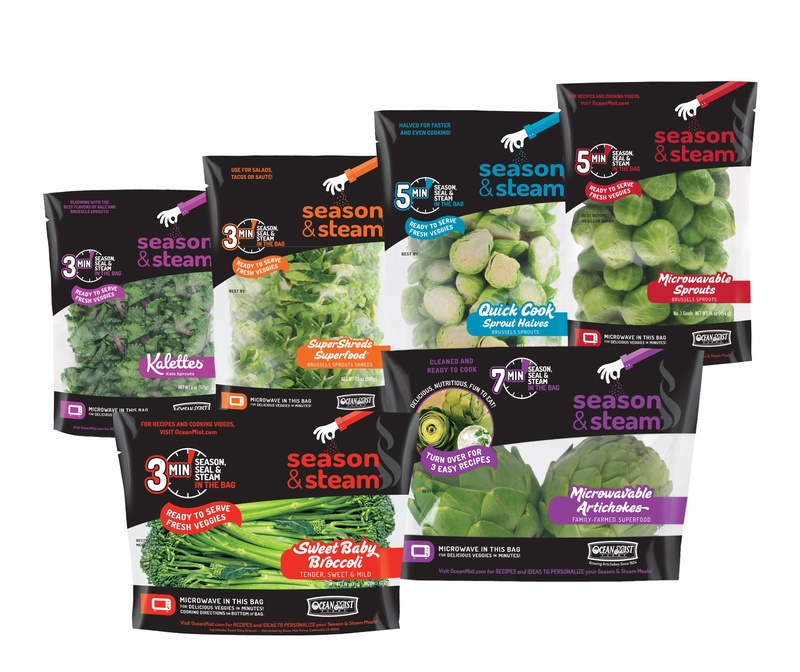 The Season & Steam line, first launched in 2012 with whole and multiple cuts of Brussels sprouts (SuperShreds SuperFood®, Quick Cook Sprouts®, whole Brussels sprouts and Baby Sprouts), expanded with Kalettes® in 2015 and artichokes in 2016. “Artichokes are what we’re known for but they are a highly fibrous vegetable and take longer to cook so we’ve perfected the offering,” said Diana McClean, director of marketing. 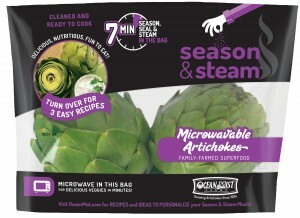 Ocean Mist Farms Season & Steam fresh vegetables are unique in that the package technology allows user to open the bag prior to cooking, pre-season the contents to their flavor preference, reseal with the zip lock and steam by microwave all within the same bag. The ability to pre-season the fresh vegetable contents (prior to cooking) is an exclusive convenience attribute to the produce department. 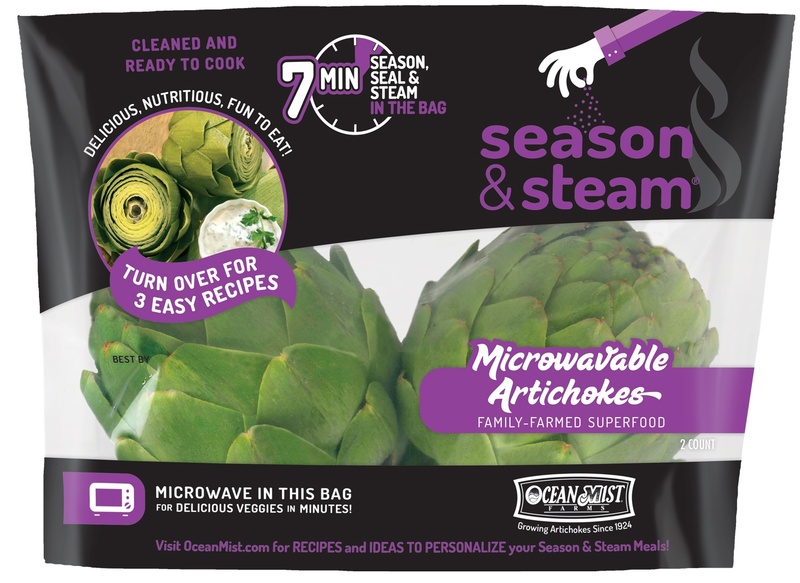 Ocean Mist Farms Season & Steam artichokes are available to customers in the United States; the company is supporting the launch with media relations and other activities designed to generate awareness for the new product. CASTROVILLE, Calif. – March 15, 2016 – Research shows that some people are intimidated by eating artichokes, but hopefully not the adventurous who will enjoy the fresh vegetable that is all heart. 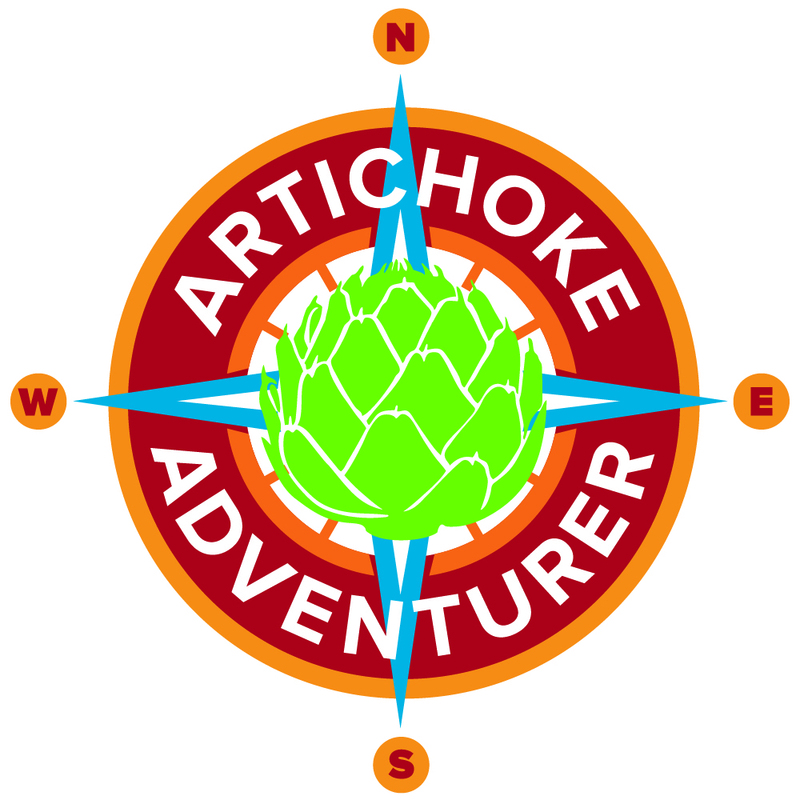 This spring Ocean Mist Farms, the largest grower of fresh artichokes in North America, is inviting home cooks to Be an Artichoke Adventurer. 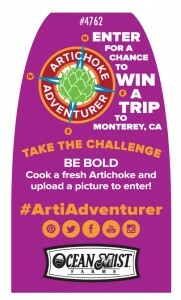 From March 20 to April 16, home cooks can upload a picture or video of themselves preparing or eating a fresh artichoke for a chance to win a trip for two to Monterey, Calif., including tickets to the Annual Castroville Food & Wine Artichoke Festival, June 4-5. Entries will be judged on creativity of the photo or video, and how well it shows off the cook’s adventurous spirit. See official rules for entry requirements. Spring is an ideal time to be an Artichoke Adventurer because it is peak season for the vegetable grown in mild climates along the coastline of the Monterey Peninsula in Northern California where Ocean Mist Farms family of farmers has been growing fresh vegetables for more 90 years. 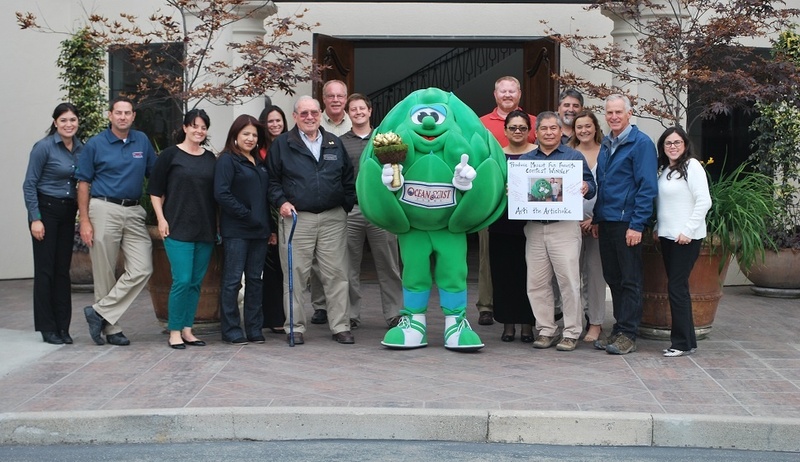 CASTROVILLE, Calif. – March 7, 2016 – Spring is the beginning of peak artichoke season and Ocean Mist Farms is supporting sales with multiple activities designed to generate awareness for the company’s fresh artichokes. 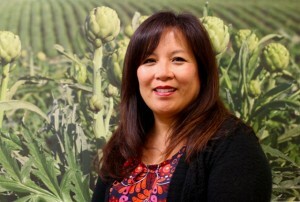 Peak volume of the Castroville crop is March through May, said Diana McClean, director of marketing, and this year most Ocean Mist Farms’ artichokes will carry branded petal inserts to help consumers find them in store. 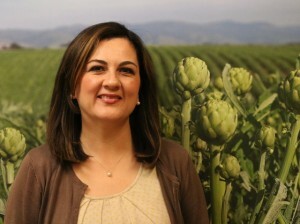 “During peak season we activate a strong promotional strategy that includes display and sales contests with Northern California retailers, radio ads in Northern California, a nationwide new product launch featuring cleaned and ready to cook fresh artichokes in our award-winning Season & Steam packaging,” McClean said. “This year we are excited to target Millenials with a consumer contest. 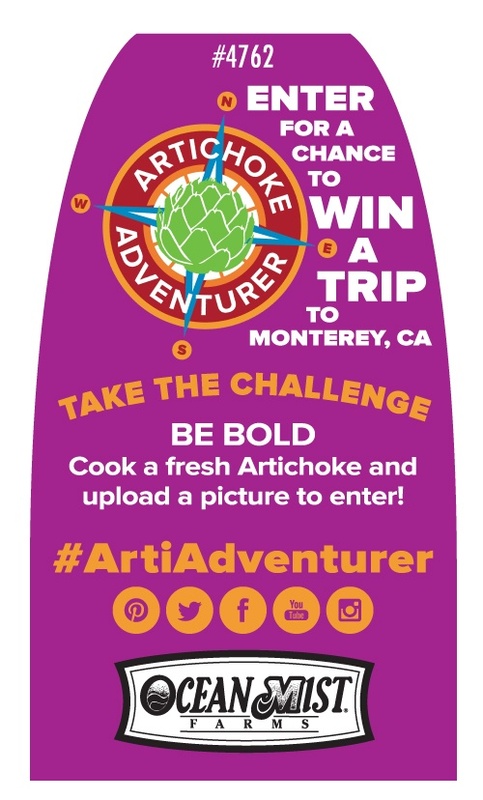 From March 20 to April 16, home cooks will be asked to upload a picture or video of themselves preparing or eating a fresh artichoke for a chance to win a trip for two to Monterey California including tickets to the Annual Castroville Artichoke Food & Wine Festival, June 4-5. 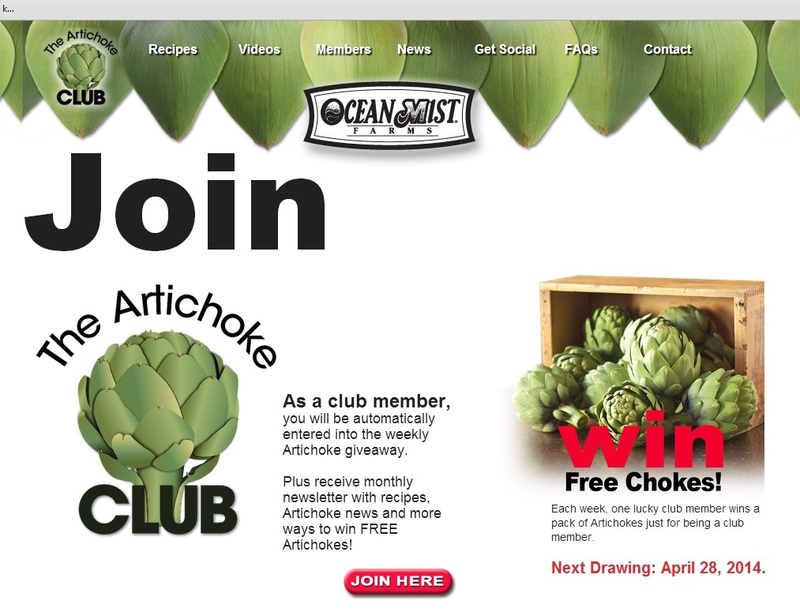 Ocean Mist Farms will also leverage the more than 60,000 artichoke fans who are now members its Artichoke Club to communicate information about the contest as well as retail promotions throughout the peak season. “We are looking forward to a strong season with good volume throughout the spring months of March through the artichoke festival in June,” McClean said. CASTROVILLE, Calif. (Feb. 10, 2016) Ocean Mist Organic is expanding its product line this month with the addition of green onions and Romaine hearts. The addition brings the total number of items sold under the Ocean Mist Organic label to 18. The green onions are available in 48-count iced bunches and the Romaine hearts are available in a case of 12, three-count packages. 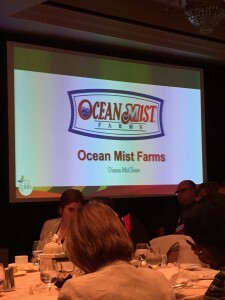 The items are added in response to continued demand for the Ocean Mist Organic fresh produce, said Joe Feldman, vice president of sales and marketing at Ocean Mist Farms. “We are excited to be able to offer our partners new items in the organic space and anticipate continued growth as we move forward,” Feldman said. The items are shipping from the expanded cooler in Coachella. 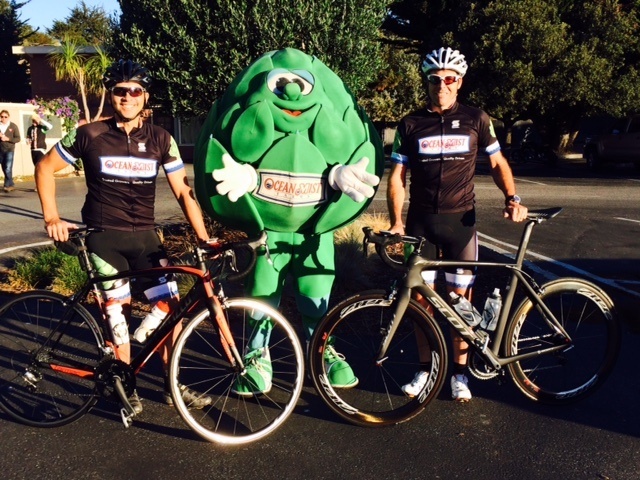 CASTROVILLE, Calif. (Feb. 10, 2016) This Valentine’s Day enjoy the vegetable that’s all heart – the artichoke – while you do something GOOD for your heart. Aside from its impressive abilities at fighting cancer, artichokes are considered a heart-healthy food for a variety of reasons. Certain ingredients in the leaves of artichokes have been found to reduce the levels of bad cholesterol (LDL) and increase the levels of good cholesterol (HDL, or omega-3 fatty acid). Artichokes are also rich sources of potassium, the essential mineral that has an impact on numerous organ systems throughout the body. Potassium helps to neutralize the effects of excess sodium, which is notorious for increasing blood pressure. A reduction in blood pressure can reduce the chances of heart attacks and coronary heart disease. The artichoke is one of the most nutritious vegetables available during the winter months and Ocean Mist Farms, the largest grower of artichokes in North America, is shipping beautiful artichokes now to grocery stores nationwide. 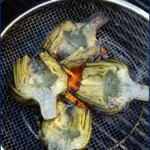 For Valentine’s Day, heat things up with fire-roasted artichokes. Your heart will love you. CASTROVILLE, Calif. (Dec. 28, 2015) — Local agriculture leader Ocean Mist Farms will award four, $1,000 scholarships to local high school graduates in April 2016 for the next academic school year. Applicants must be a high school graduate with a 3.0 GPA or higher. Application deadline is Jan. 31, 2016. Applications and additional information can be found at www.oceanmist.com/scholarships. CASTROVILLE, Calif. – (Dec. 16, 2015) – As a result of the recent widespread frost in California, highly flavorful artichokes known as Frost Kissed™ artichokes are now in stores for a short time. The impact of frost on artichokes is similar to how human skin reacts to sunburn, said Diana McClean, director of marketing at Ocean Mist Farms. Frost turns the outside layer of the artichoke dark brown, and then it flakes and peels. 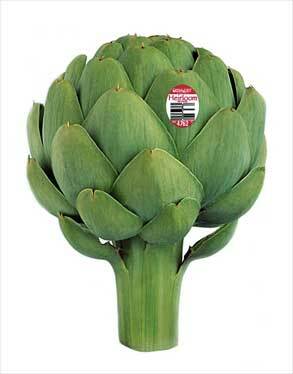 Once cooked, the brown outer layer is gone resulting in the soft green artichoke shoppers are familiar with. The company has information on its website with pictures and recipes and is sending that information to members of its artichoke club and sharing it through its digital channels. Ocean Mist Farms also provides display cards to the retail customers who stock Frost Kissed™ artichokes the new few weeks. 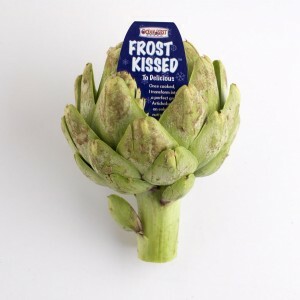 Artichokes are Frost Kissed™ when the temperature drops below 32 degrees. Following a freeze, artichoke plants take two to three weeks to start producing frost free artichokes again. CASTROVILLE, Calif. (Dec. 14, 2015) — Ocean Mist Organic hired Joe Angelo as sales manager. Angleo comes to Ocean Mist Organic from Dole Vegetables and Dole Berry Company where he held district sales and commodity manager positions. He is a graduate of the University of California Santa Cruz. 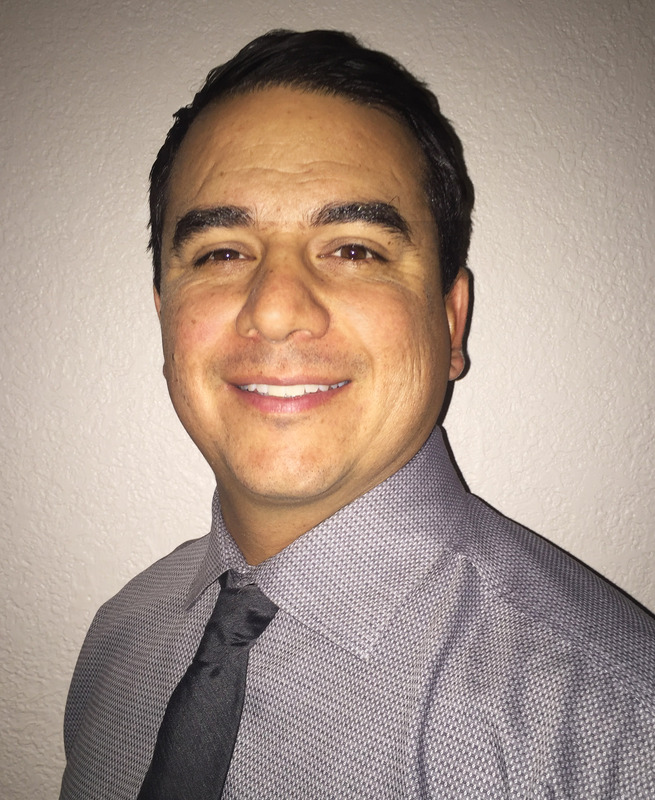 Angelo will manage customers accounts throughout the country and work in the company’s Castroville location. 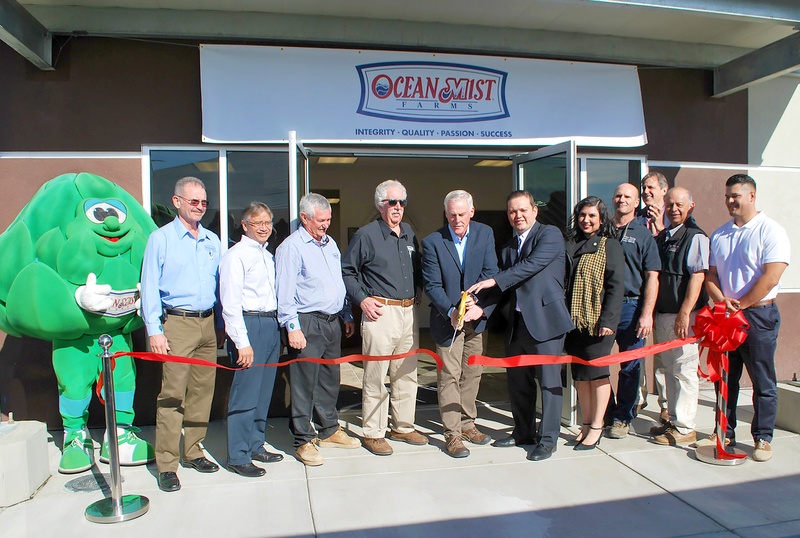 CASTROVILLE, Calif. (Dec. 9, 2015) — Ocean Mist Farms opened its expanded cooler facility in Coachella, Calif., on Tuesday, Dec. 8, with an official ribbon cutting ceremony. Ocean Mist Farms has operated in Coachella since 1988 and has expanded its produce cooling and distribution facility twice during that time. The latest expansion, which has been more than two years in planning and execution, is a result of increased business. Construction started March 23; the facility now has double the cooling and storage capacity and twice as many bays for receiving and loading trucks. The company grows and cools artichokes and 30 other fresh vegetables at the Coachella facility during the winter season from December to April, said Ocean Mist Farms CEO Joe Pezzini. In addition, the facility serves other growers in the surrounding area as a year-round produce cooling and distribution center. Ocean Mist Farms employs more than 70 at the facility. In addition to improving efficiencies, product quality and customer service, the expansion of the Coachella facility strategically positions Ocean Mist Farms for future growth, Pezzini said. 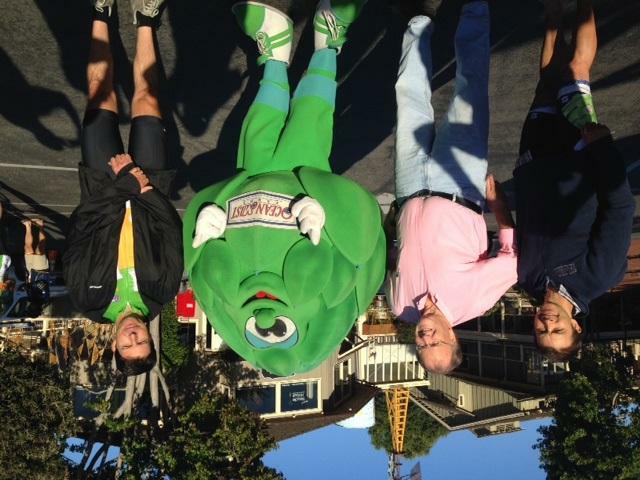 Pezzini was joined for the ribbon cutting ceremony by Mayor Steven Hernandez. 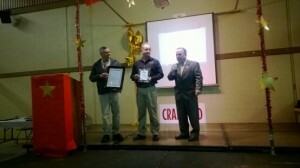 The mayor declared Dec. 8 as official Ocean Mist Farms day. More than 40 people attended the opening event and enjoyed refreshments and tours of the facility. 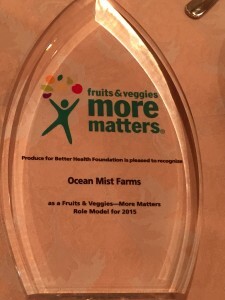 CASTROVILLE, Calif. – OCT. 23, 2015 – Ocean Mist Farms is one of the five fresh produce companies named a packaging innovator by the Produce Marketing Association (PMA), which bestowed its eighth annual Impact Awards: Excellence in Packaging at the organization’s international convention and exposition in Atlanta today. 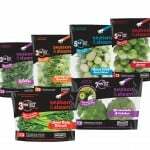 The newest addition to Ocean Mist Farms’ value-added Season & Steam™ product line, Kalettes™, received the 2015 PMA Impact Award: Excellence in Packaging. The company’s SuperShreds SuperFood™, Quick Cook Sprouts™, Baby Sprouts and whole Brussels sprouts received the award in 2012 and microwaveable artichokes in 2011. Ocean Mist Farms’ Season & Steam Kalettes™ are cleaned and ready to cook and have a suggested retail price of $3.29-$3.99 depending on the region. The company is one of six Kalettes™ growers in the United States. 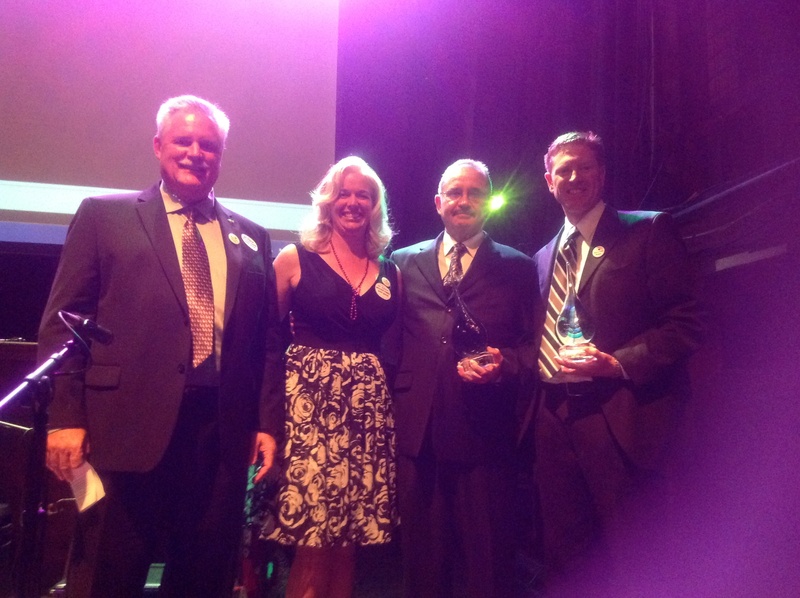 The PMA Impact Award: Excellence in Packaging recognizes and encourages excellence in fresh produce packaging. PMA received more than 71 entries from 57 countries that were narrowed down to 20 finalists and submitted to a panel of judges who selected the five winners based on the following attributes: Marketing, sustainability, food safety, and convenience and supply chain efficiency/functionality. CASTROVILLE, Calif. – Oct. 7, 2015 – Ocean Mist Farm will feature the newest addition to the company’s award-winning value-added Season & Steam™ product line, Kalettes™, as well as it’s line of organic produce, Ocean Mist Organic, in booth #3547 at the PMA Fresh Summit in Atlanta. Ocean Mist Farms’ Season & Steam Kalettes™ are cleaned and ready to cook and have a suggested retail price of $3.29-$3.99 depending on the region. The company recently redesigned the graphics on each of the Season & Steam packages to make the instructions clearer on the shelf and more user friendly. Also on display in the PMA booth will be the full line of Ocean Mist Farm Organic produce; the company started packing the items in July under a new label, Ocean Mist Organic. As the largest grower of fresh artichokes in North America, the company will have an assortment of artichokes in multiple packages sizes available for review. 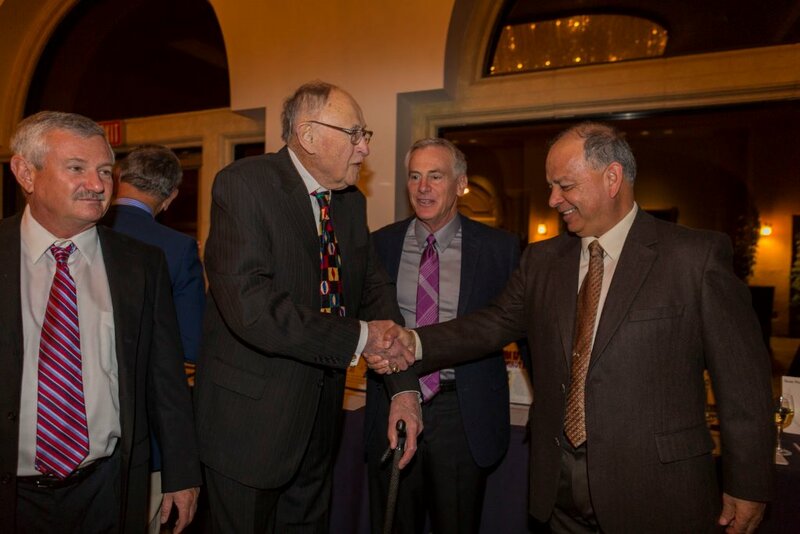 CASTROVILLE, Calif. (Oct. 5, 2015) – The Ocean Mist Farms Board of Directors named Joe Pezzini as the company’s successor to current President and CEO Ed Boutonnet; the transition in leadership will occur over the next 12 months. Joe joined Ocean Mist Farms in June of 1983. In 2001, Joe was promoted to Vice President of Operations where he was responsible for cooling operations, food safety, research and development, quality assurance, human resources and strategic planning. In addition to these responsibilities, Joe accepted the position of Chief Operating Officer at Ocean Mist in February of 2009, a position he took very seriously and proudly served. 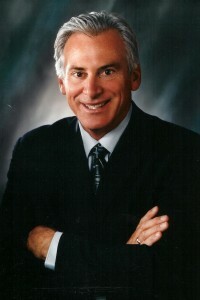 Joe succeeds Boutonnet who joined Ocean Mist Farms in 1970 and became President and CEO in 1990. 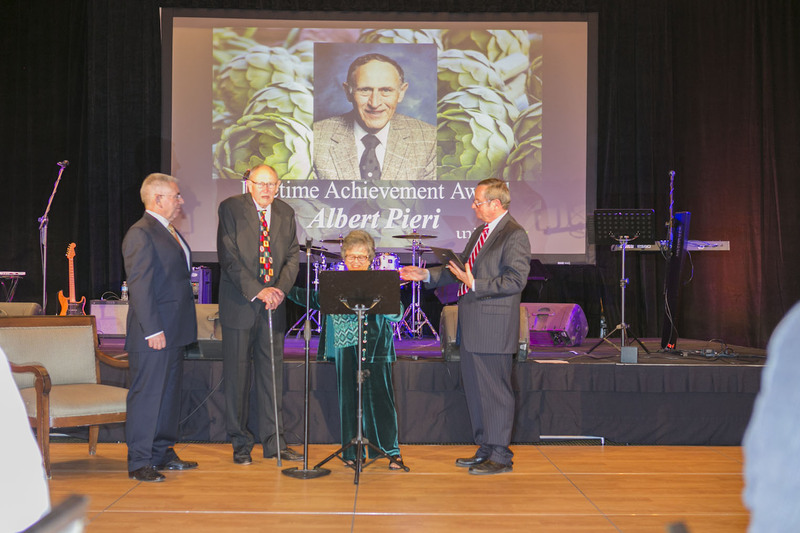 Under his leadership, the company became the largest grower/shipper of fresh artichokes in North America. Boutonnet will remain as Chairman of the Board and will participate in special assignments, projects and other operations of the corporation. 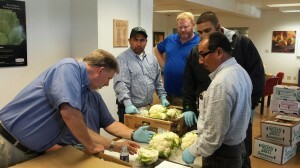 Boutonnet said, “I've been privileged to lead one of the greatest produce companies in the country. After almost five decades with the company and 25 years as CEO, it's time to transfer Ocean Mist Farms’ helm to a new generation of leadership. While I will continue a very active role at the company, I enthusiastically welcome Joe as our new leader. I am confident in his abilities and excited for the future of Ocean Mist Farms. I look forward to working with Joe and the board during the transition period, and to being an advisor to management in the years ahead." Hugo Tottino, owner/partner of Ocean Mist Farms said, "Ed is a very strong, dedicated, and honest leader who encouraged our employees to look ahead to the future. He was instrumental in working with management to position our company for long-term success. We are grateful for his innumerable contributions to the company and we thank him for his distinguished tenure as President and CEO over the last 25 years." 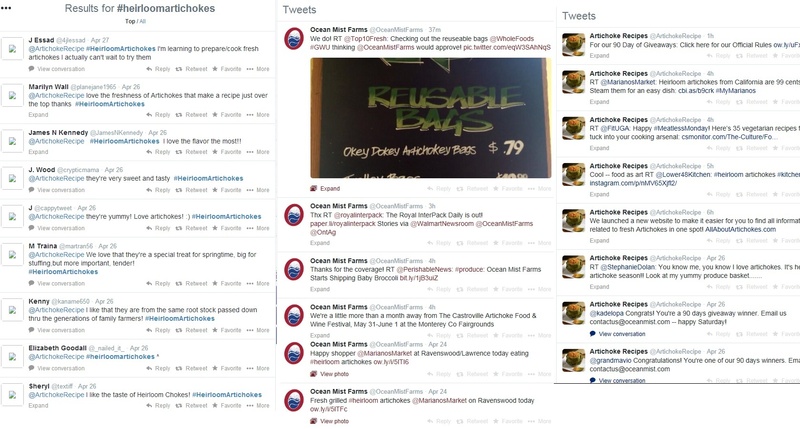 CASTROVILLE, Calif. – The first Ocean Mist Organic fresh produce items began shipping this week out of the Ocean Mist Farms’ cooler in Castroville, Calif., more than 15 items are available in the line to customers nationwide. CASTROVILLE, Calif. – JUNE 15, 2015 – Ocean Mist Farms hired two employees to work in departments at the company’s headquarters in Castroville, Calif.: Jonelle Wong is the new operations controller and Gladys Valenzuela-Corzo is the human resources director. Wong comes to Ocean Mist Farms with more than 15 years of accounting, financial and administration experience related to agricultural operations and food service. 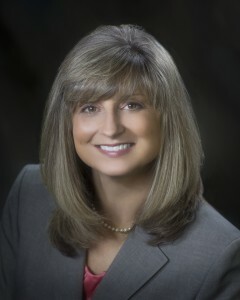 She was most recently the controller at Danna Farms, Inc., in Plumas Lake, Calif.
Valenzuela-Corzo also joins the company with several years experience in her area of expertise having been the human resources director at Growers Transplanting/Rocket Farms and the Monterey County Herald/MediaNews Group, Inc., in Salinas. 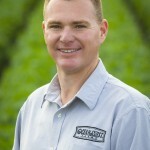 CASTROVILLE, Calif. (June 8, 2015) — Justin Grossman has joined Ocean Mist Farms as the organic sales manager for the company’s new organic line, Ocean Mist Organic. Grossman has an extensive background in organic sales, most recently with Coke Farm in San Juan Bautista, Calif., where he managed accounts for large distributors and small retail chains. At Ocean Mist Organic he will work in the Ocean Mist Farms Castroville sales office and report to Joe Feldman. Grossman’s previous experience includes a national buyer for Albert’s Organics in Santa Cruz as well as other retail positions. CASTROVILLE, Calif. – May 27, 2015 – Ocean Mist Farms will sponsor the Castroville Artichoke Food and Wine Festival as it returns to the Monterey County Fairgrounds May 30-31 to celebrate California’s official state vegetable. Now in its 56th year, the growing festival is anticipated to attract more than 30,000 visitors and will feature more food and wine and bigger entertainment acts in 2015. Festival attendees can enjoy activities such as a farmer’s market, the Ocean Mist Farms Agro Art competition, arts and crafts vendors, children’s activities, the opportunity to meet Ocean Mist Farm’s ambassador “Arti the Artichoke,” artichoke field tours and a competitive artichoke eating contest. Attendees can also expect a variety of foods prepared using fresh artichokes. Options include artichokes creamed, steamed, deep-fried and grilled, and in burritos, soup, ice cream, cupcakes and more. Guests over 21 can enjoy wine tasting, micro brews and artichoke pairings. Northern California’s well-known chefs, Tony Baker and Ryan Scott, will showcase the versatility of the artichoke and share unique preparation techniques. Scott, host of San Francisco’s KGO radio cooking show and a Top Chef Season Four contestant, will broadcast live from the festival on May 30. The annual Castroville Artichoke Food and Wine Festival started in 1959 in Castroville, where California’s first artichoke shoots were planted in 1922. Today, nearly all of America’s artichoke supply comes from California and nearly two-thirds are grown in Castroville. Over the years, the festival has become the primary source of funding for local nonprofit groups that thrive with the success of the festival. The festival continues to grow, and in 2014 moved to the Monterey County Fairgrounds to host more attendees and attractions. 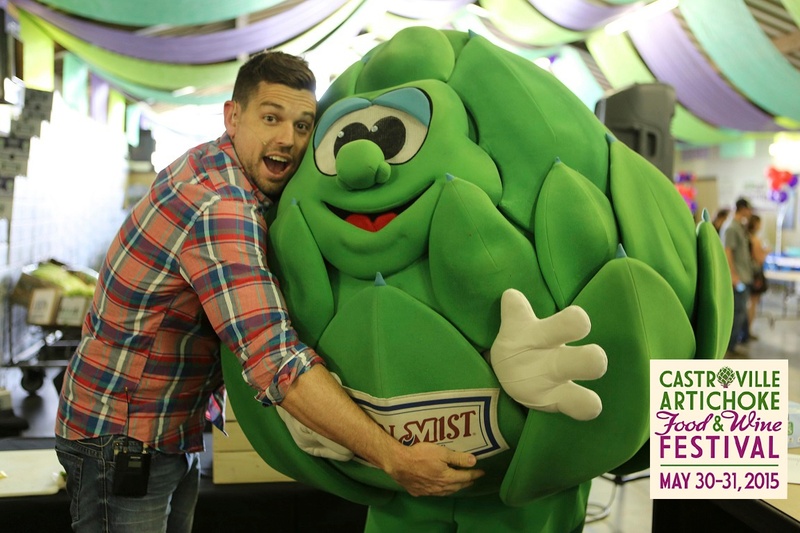 Castroville-based Ocean Mist Farms is the largest artichoke grower in North America and a long-time supporter of the festival. Ocean Mist Farms has grown artichokes for more than 90 years and donated all artichokes being used at the event. Tickets for the 2015 Castroville Artichoke Food and Wine Festival are available for purchase at www.artichokefestival.org and can be purchased at the door. For more information about all of the events at the 2015 Castroville Artichoke Food and Wine Festival, visit the festival website page follow festival happenings on Facebook and Twitter @ArtiFest. CASTROVILLE, Calif. (May 20, 2015) – Ocean Mist Farms and Lakeside Organic Gardens formed a strategic alliance to grow for one another and offer their customers wider organic product lines. 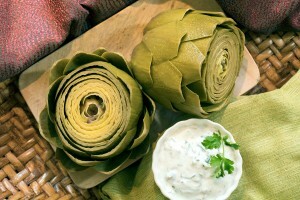 The strategic alliance will add organic artichokes to the Lakeside Organic Gardens product line. 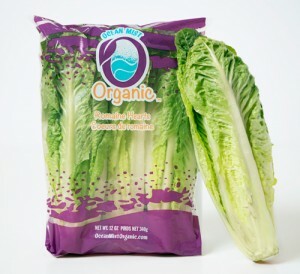 For Ocean Mist, the company’s organic product line will expand to include beets, broccoli, cauliflower, celery, cilantro, fennel, iceberg lettuce, kale, leeks, parsley, red leaf, green leaf, romaine and spinach. 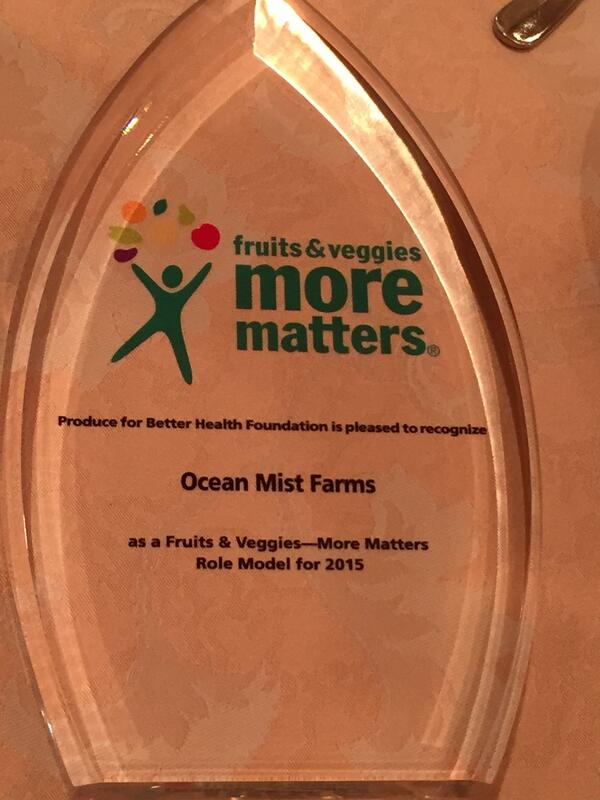 Ocean Mist will market the items under the Ocean Mist Organic label. Ocean Mist Farms and Lakeside Organic Gardens are both family-owned and operated. 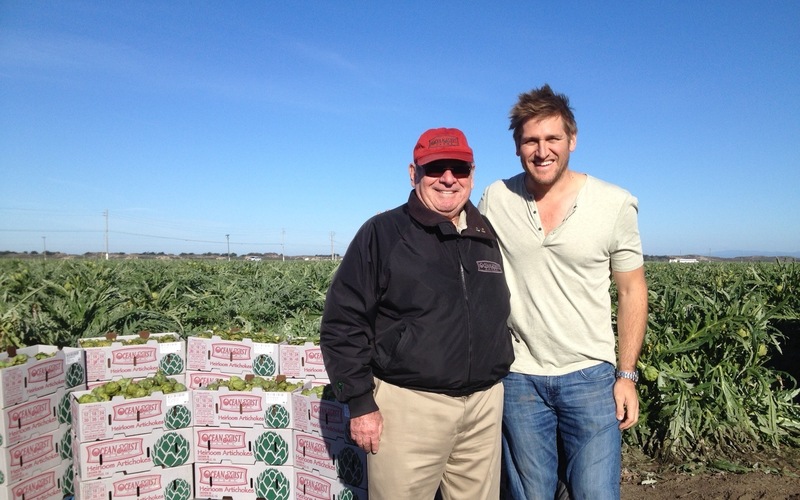 In business more than 90 years, Ocean Mist Farms is the largest grower/shipper of artichokes in North America. Lakeside Organic Gardens, based in Watsonville, Calif., is the largest family-owned and operated organic vegetable grower/shipper in the country; the company grows and sells more than 45 organic vegetables year-round. 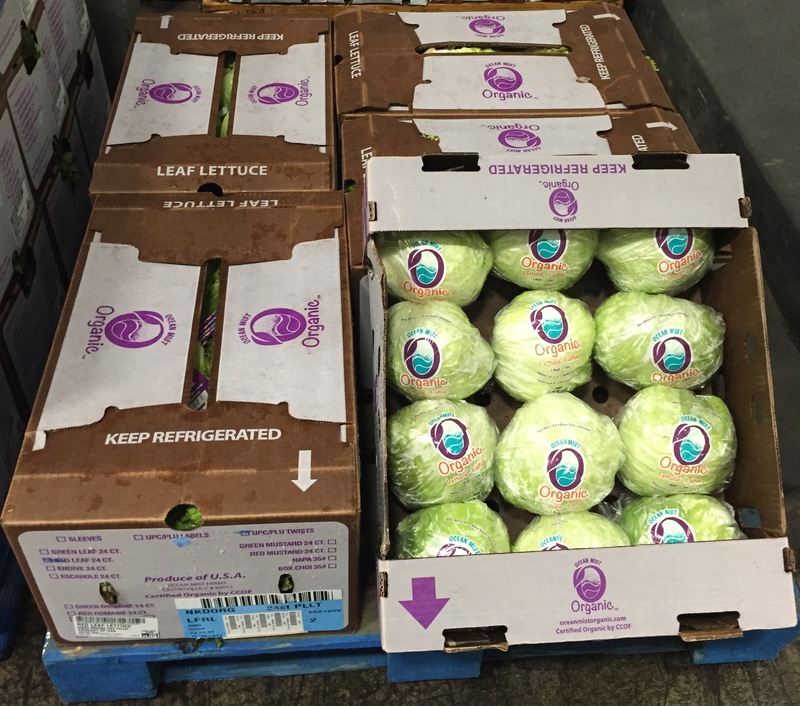 The first products will ship in July from the Ocean Mist Farms cooler in Castroville, Calif. and the Lakeside Organic Gardens cooler in Watsonville, Calif.
CASTROVILLE, Calif. (March 31, 2015) — Ocean Mist Farms is expanding its cooler facility in Coachella, Calif., this spring to be in operation for the Fall 2015 desert-growing season. Ocean Mist Farms has operated in Coachella for more than 27 years and has expanded its cooler facility twice during that time. The latest expansion, which has been more than two years in the planning, is a result of increased business. Construction began on March 23. When completed, the facility will have double the cooling and storage capacity and twice as many bays for receiving and loading trucks. Ocean Mist Farms grows and cools artichokes and 30 other fresh vegetables at the Coachella facility, said Ocean Mist Farms CEO Ed Boutonnet. In addition to improving efficiencies, product quality and customer service, the expansion of the Coachella cooler will strategically position Ocean Mist Farms for future growth, Boutonnet said. 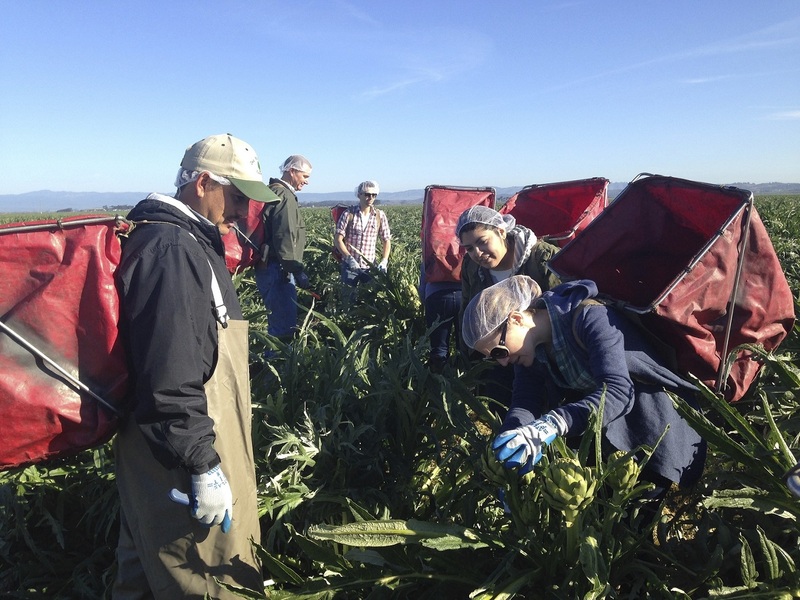 CASTROVILLE, Calif. – March 9, 2015 – March marks the beginning of peak Heirloom artichoke season and Ocean Mist Farms is supporting sales with multiple activities designed to generate sales and consumer awareness for this special variety of fresh artichokes. The family farmers of Ocean Mist Farms, the largest grower of artichokes in North America, have been growing Heirloom artichokes for more than 90 years. As it stands, Artichokes are produced and readily accessible year-round; though peak harvesting season for our Heirloom variety is during spring — more specifically, during the months of March, April, and May. An artichoke thrives in foggy, cool-coastal climates and requires regular nutrients through watering and feeding. 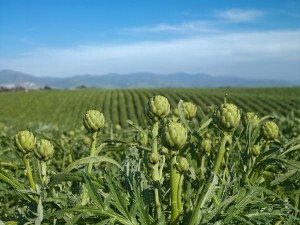 About 99% of the North American Artichokes are harvested in California, with Ocean Mist Farms being the largest grower. Ocean Mist proprietary Globe variety produces during the times of year that the Heirloom variety is not in peak production: May through the following March. The season for Artichoke is in a sense, all seasons. The Heirloom artichoke variety is a perennial plant that grows from original rootstock that dates back to the start of Ocean Mist Farms in 1924. The formal classification of an Heirloom fresh fruit or vegetable is any distinct variety that grows and has been in trade for more than 50 years using the same lineage. Like a family recipe, this unique variety of artichoke grows from the same rootstock that has been passed down to each generation of Ocean Mist family farmers for more than 90 years — never from seed. Artichokes have such a strong legacy in California that they were named the Official State Vegetable of California. Ocean Mist Farms’ Heirloom variety is also the variety that chefs prefer. Many chefs refer to the Heirloom variety as the ‘red label’ referring to the red font color on the Ocean Mist Farms carton. Peak volume of the Castroville Heirloom crop is expected in April, said Diana McClean, director of marketing. All the Heirloom artichokes will carry a red PLU/UPC sticker to help shoppers find the Ocean Mist Farms’ Heirloom variety in stores. 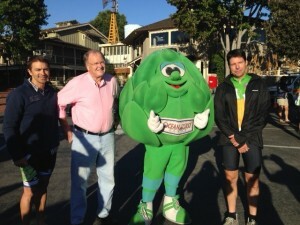 “During spring’s Heirloom artichoke season, we activate a multi-faceted promotional strategy that includes retail contests, radio ads in Northern California, a consumer sweepstakes, custom in-store point of sale, display bins and petal inserts,” McClean said. “Artichokes can be made in countless ways, but many people use the same cooking method and dip the petals in their favorite sauce,” McClean said. 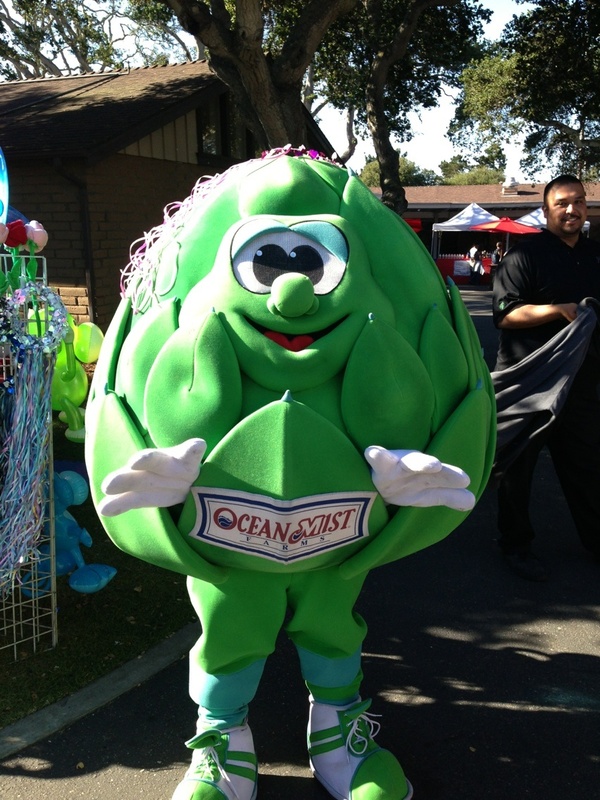 For the Easy as 1-2-3 sweepstakes the players, who must be members of the Ocean Mist Farms’ Artichoke Club, can enter each day by selecting their favorite base, mixer and herb to create a unique artichoke dip. Daily prizes will be awarded and unique dip names will be generated to share across social media platforms. The sweepstakes dipping game details will be communicated via social media channels and petal inserts in stores across the country. The petal inserts will be placed in every other artichoke for stores that agree to carry the item and labels will be added to the clamshell packages, which is a new packaging option for the spring season. Daily winners will be entered in chance to win a grand prize of $1,000. 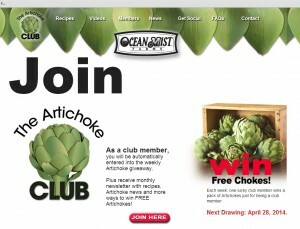 Ocean Mist Farms will also activate geo-marketing with its email Arti-Alerts sent to members of its Artichoke Club when retailers have Heirloom artichokes on sale-specific in their market. The same message is also shared via Ocean Mist Farms’ Facebook page and other social media channels. The culmination of peak season will be the Annual Castroville Artichoke Festival held at the Monterey County Fairgrounds May 30-31. 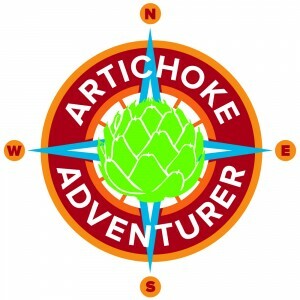 The festival features Arti the Artichoke, Agro Art, chef demos, artichoke field tours, wine tasting and assorted activities for artichoke lovers of all ages. CASTROVILLE, Calif. – (Feb. 23, 2015) – Ocean Mist Farms will feature new-to-the-world vegetable Kalettes™ at the Southeast Produce Council Expo this week, along with its Heirloom artichokes and Season and Steam Brussels sprouts line. All items will be on display in Ocean Mist Farms booth 300. Ocean Mist Farms is one of six companies growing Kalettes™ in the United States; the company plans to add Kalettes™ to its award-winning line of Season and Steam vegetables later this year. CASTROVILLE, Calif. – (Feb. 16, 2015) – Reggie Griffin, former vice president of produce and floral at The Kroger Co., was elected by the shareholders of Ocean Mist Farms as an outside director. 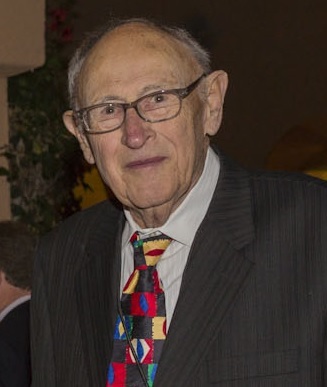 Mr. Griffin retired from The Kroger Co., the largest operator of supermarkets in the United States, in 2011 and has been working since then as a business consultant. He is the second outside director to join Ocean Mist Farms’ board; Dr. Roberta Cook of the University of California, Davis, was the first. 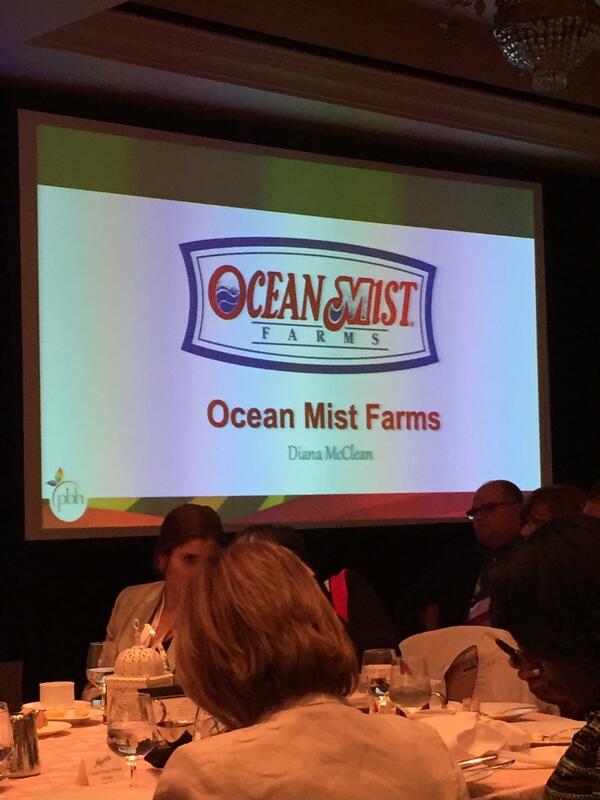 Ocean Mist Farms is a family-owned business that celebrated its 90th anniversary in 2014.